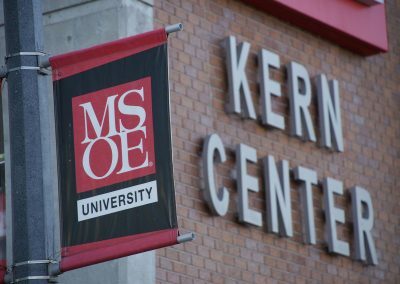 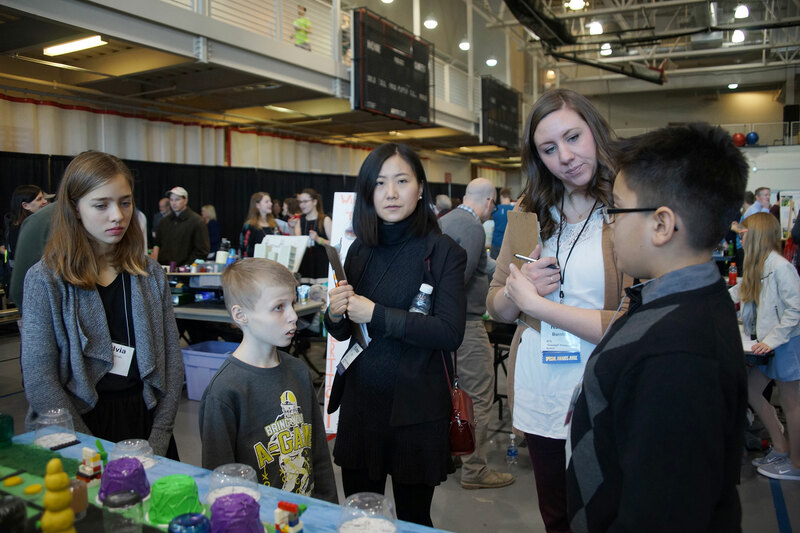 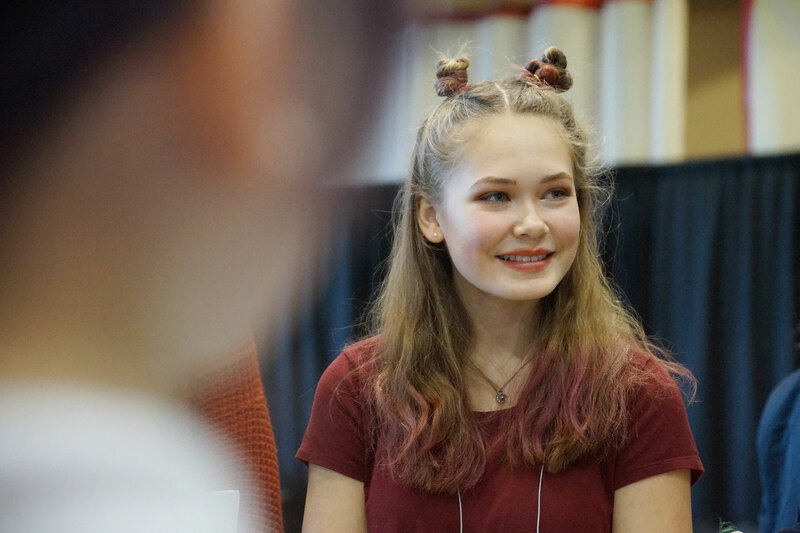 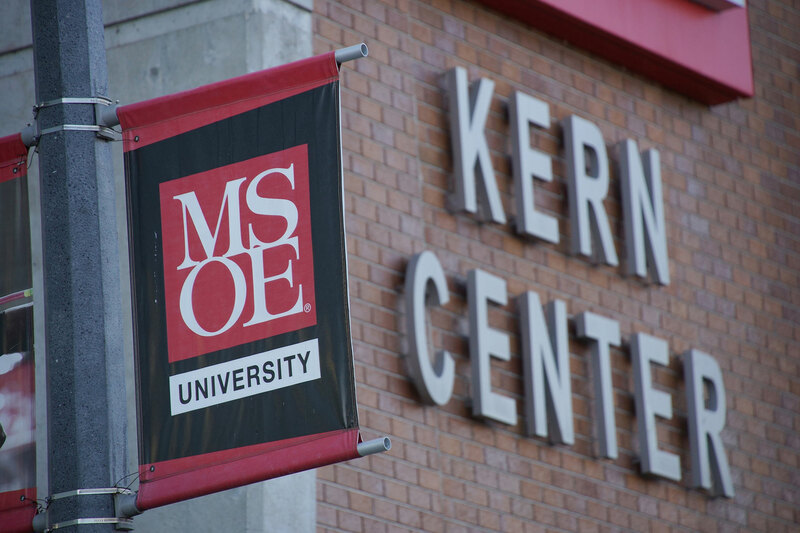 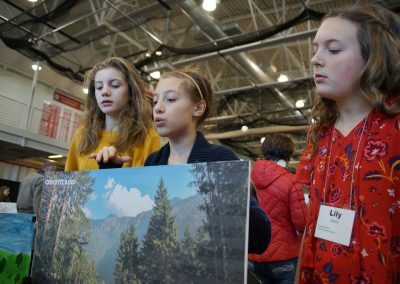 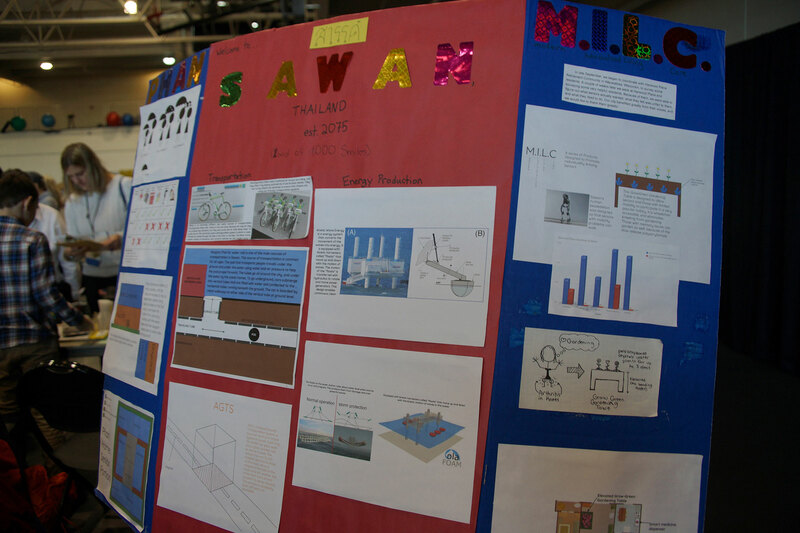 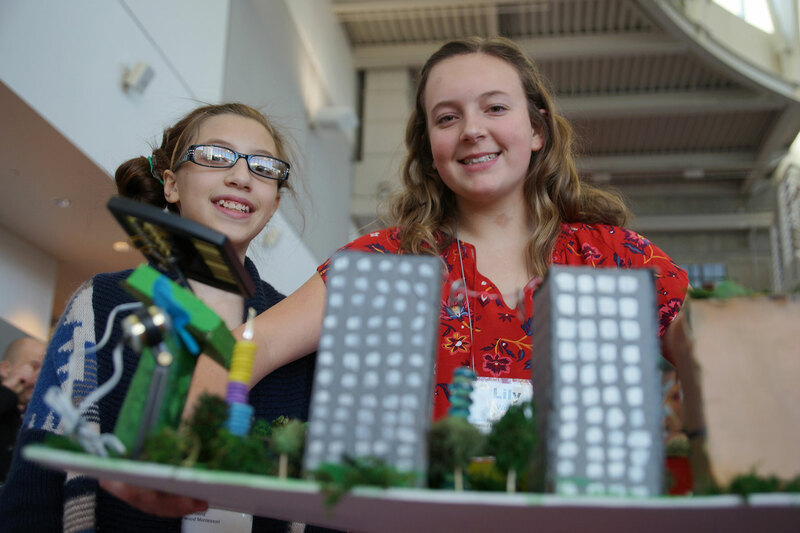 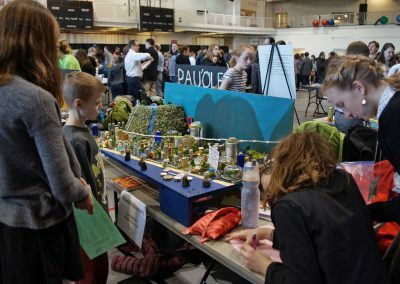 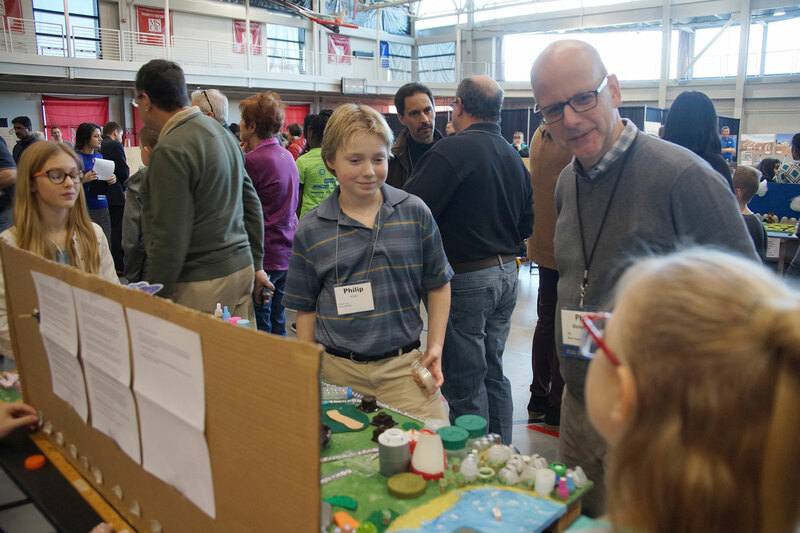 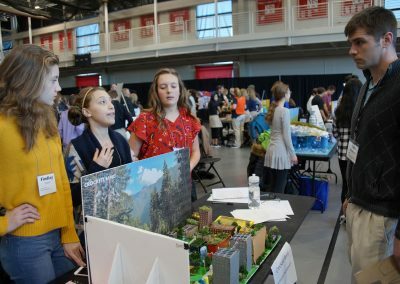 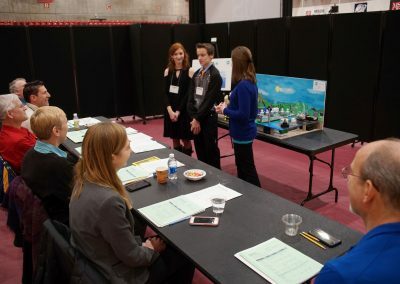 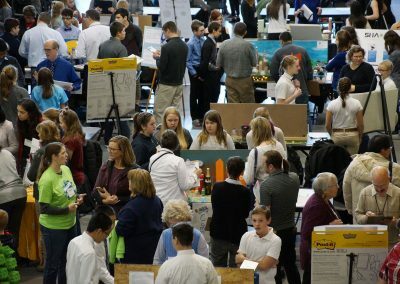 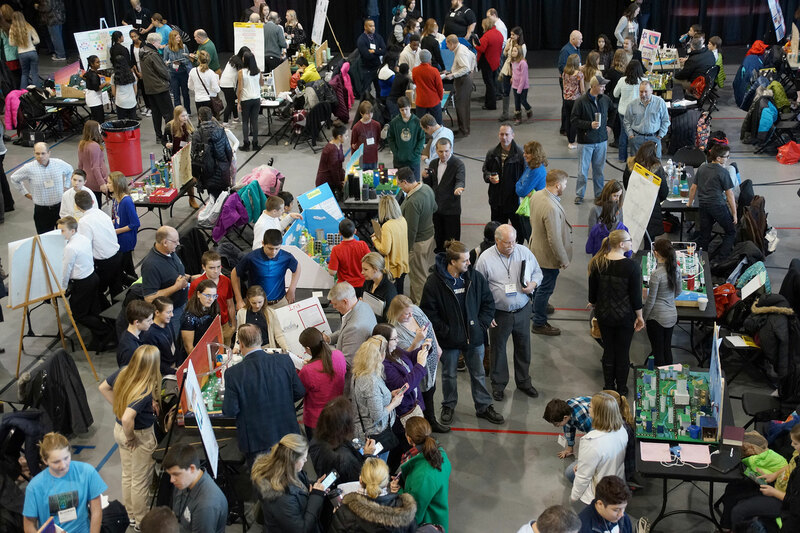 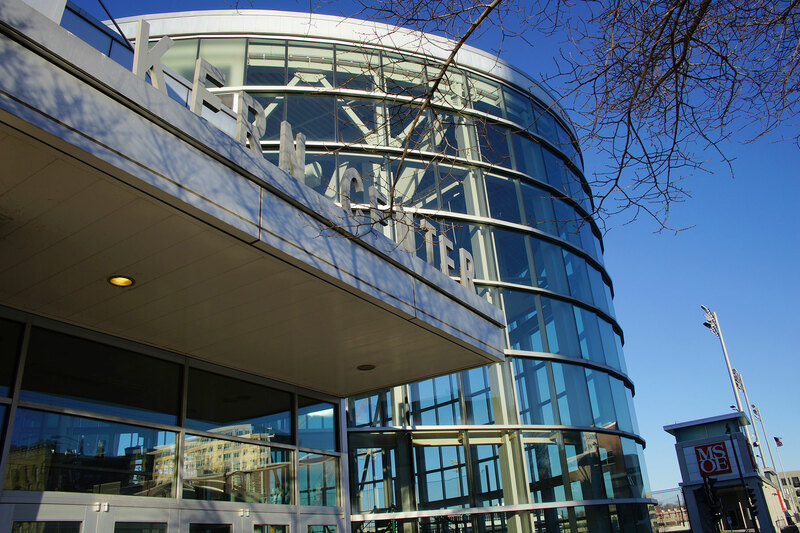 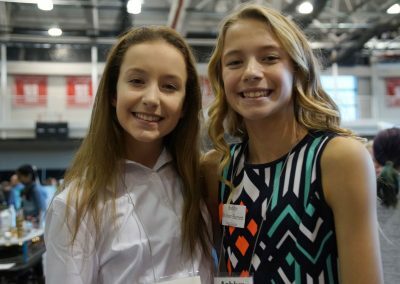 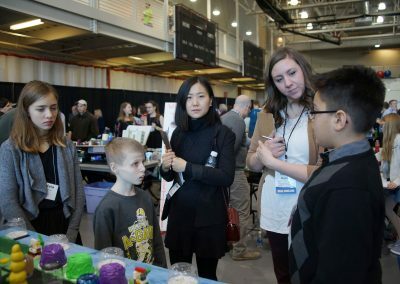 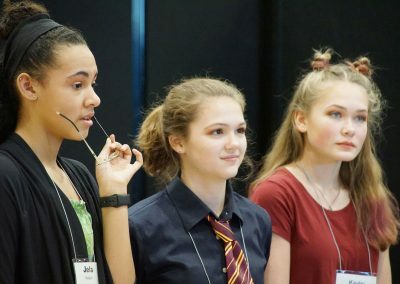 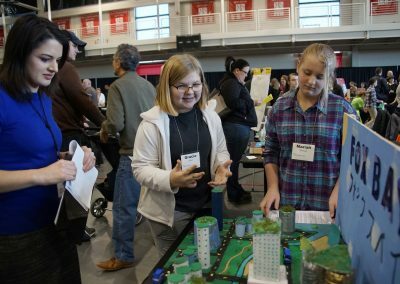 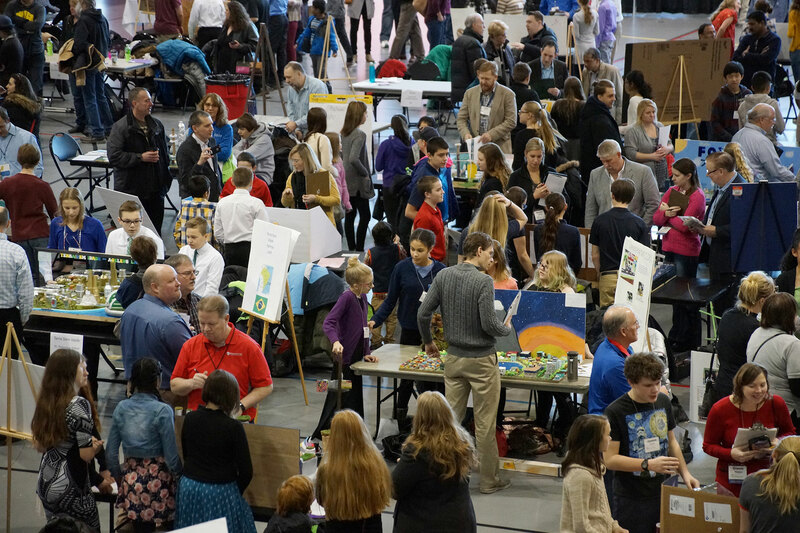 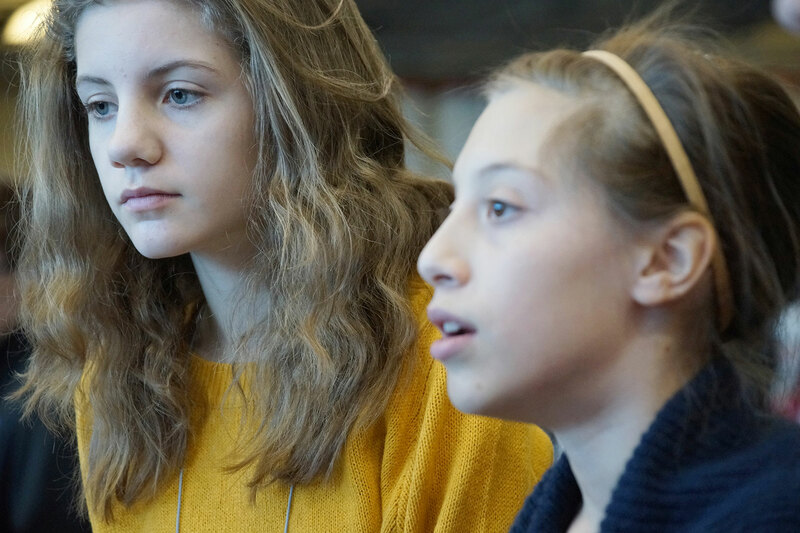 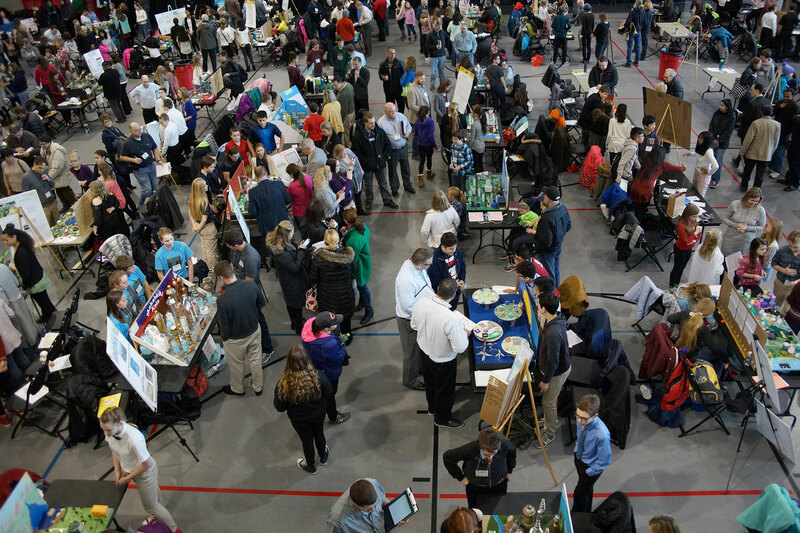 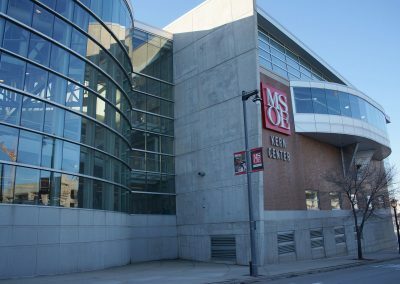 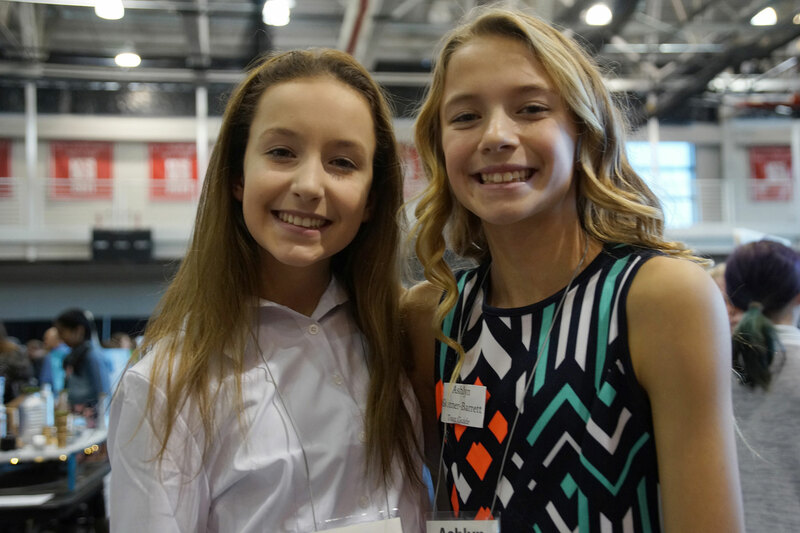 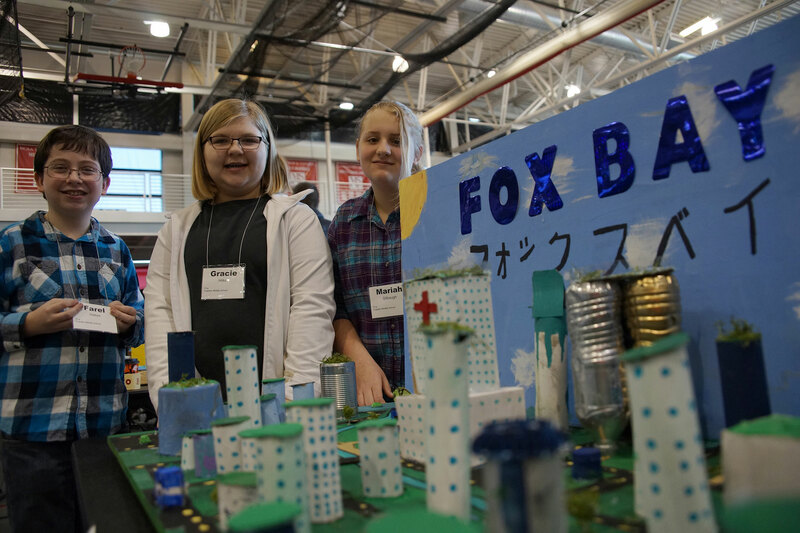 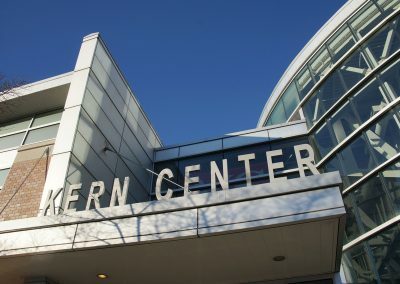 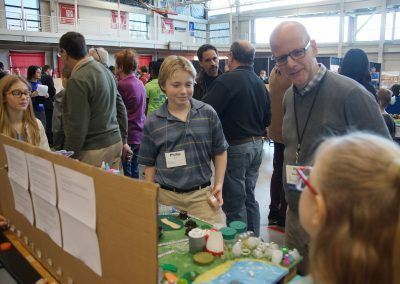 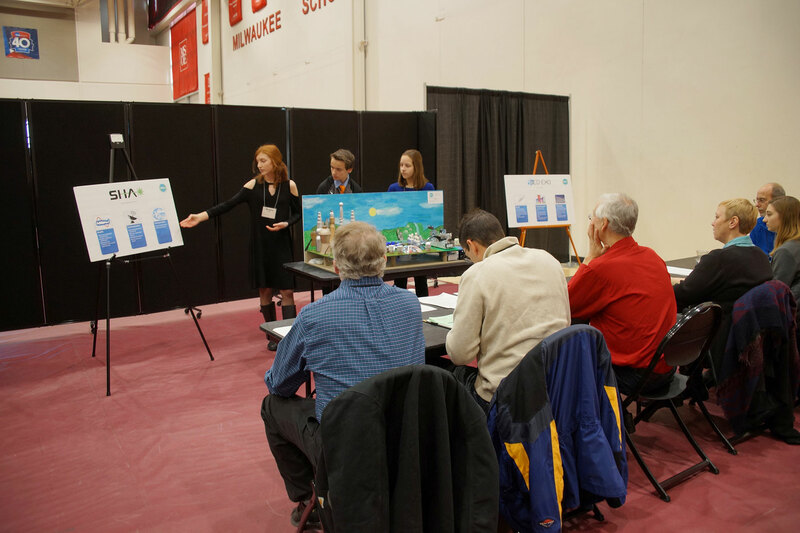 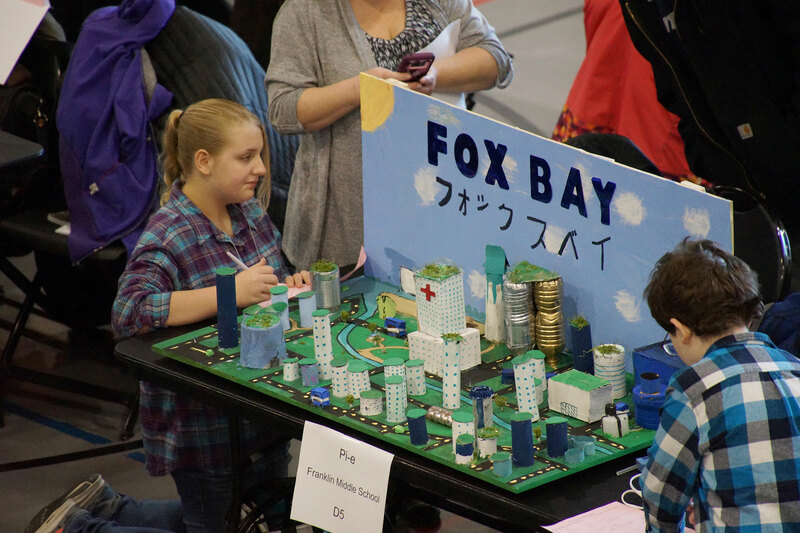 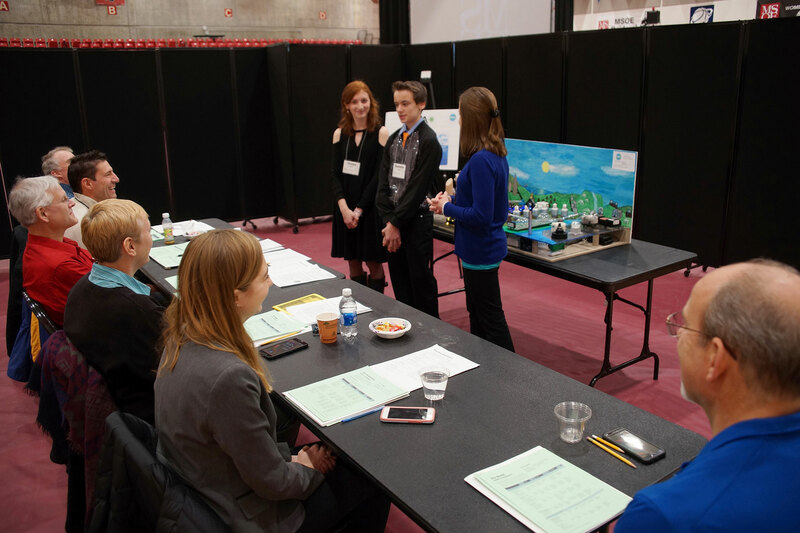 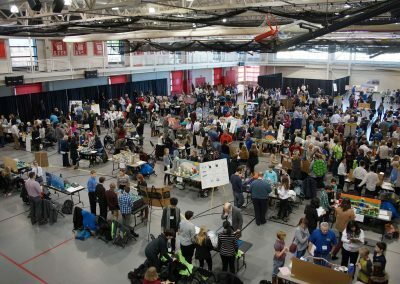 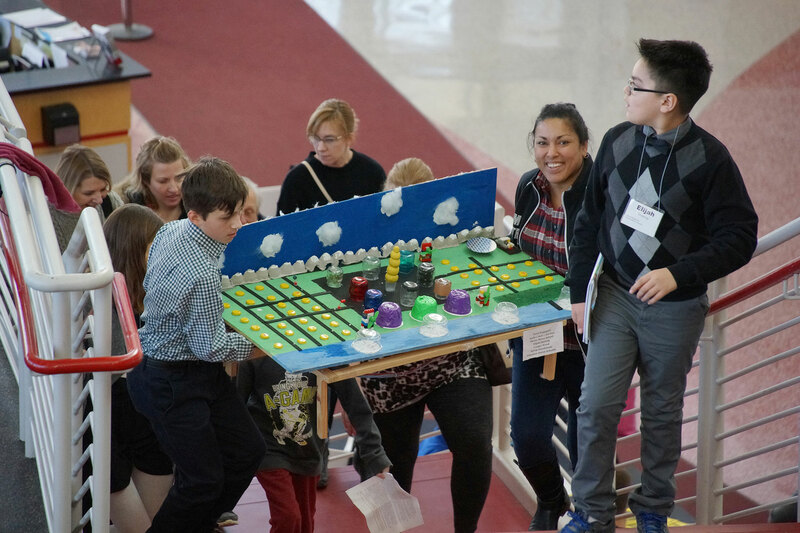 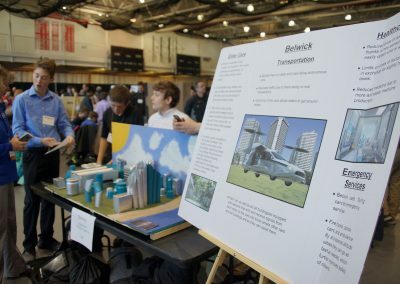 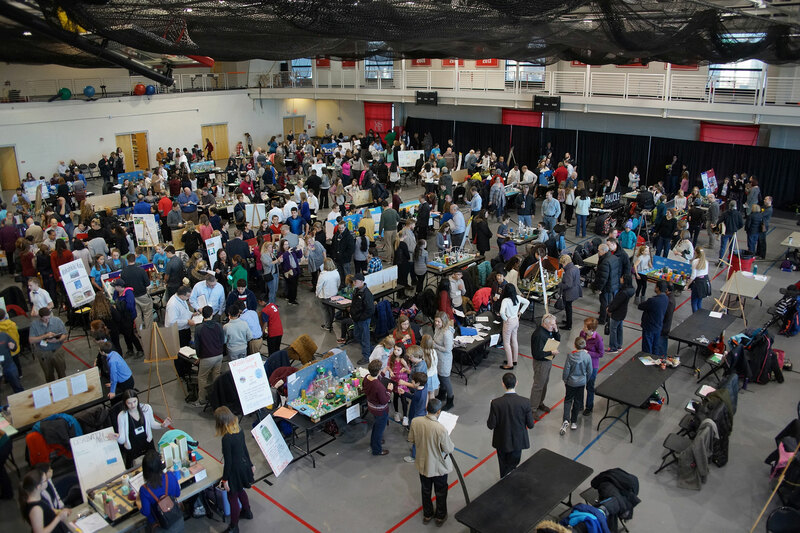 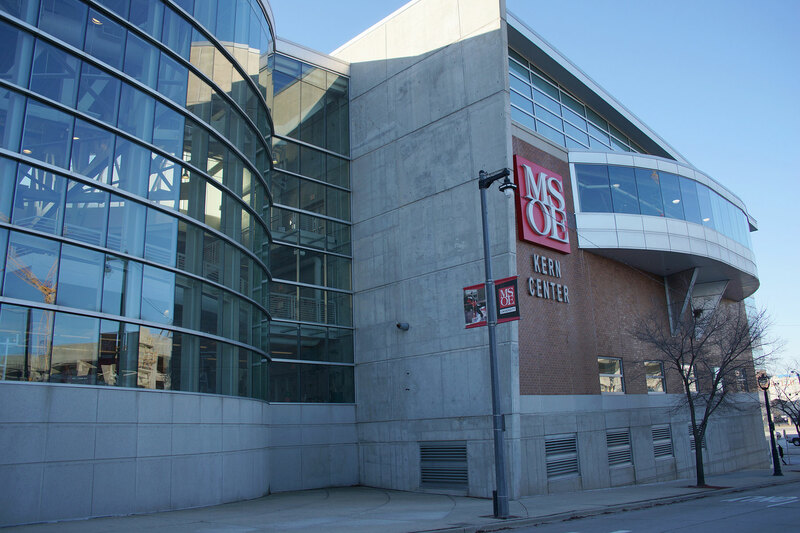 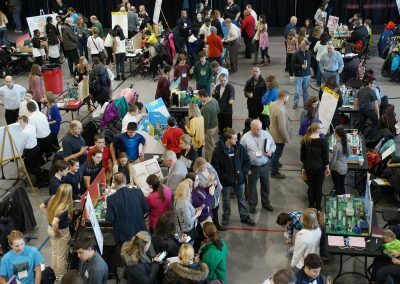 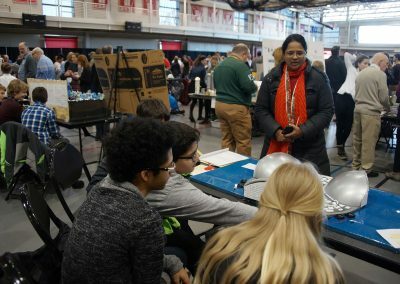 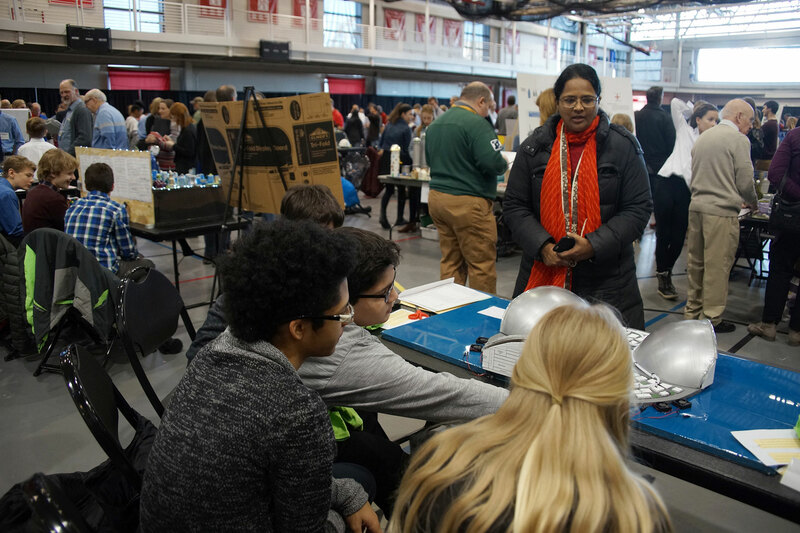 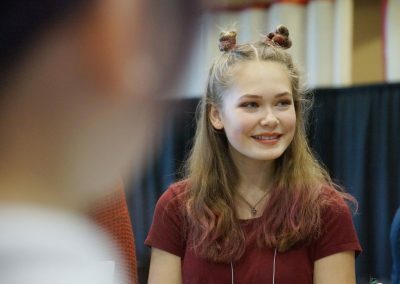 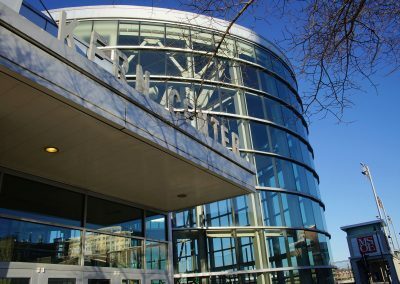 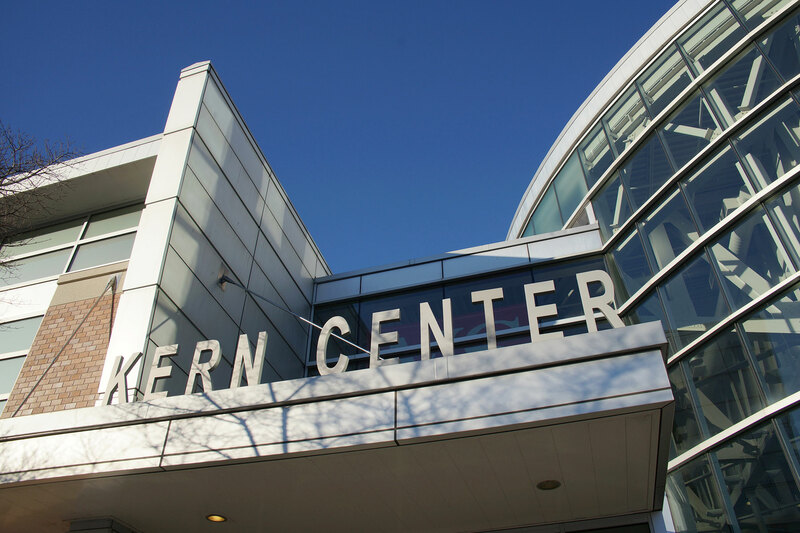 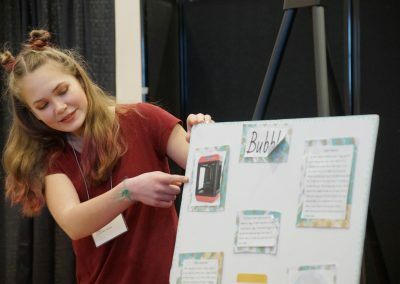 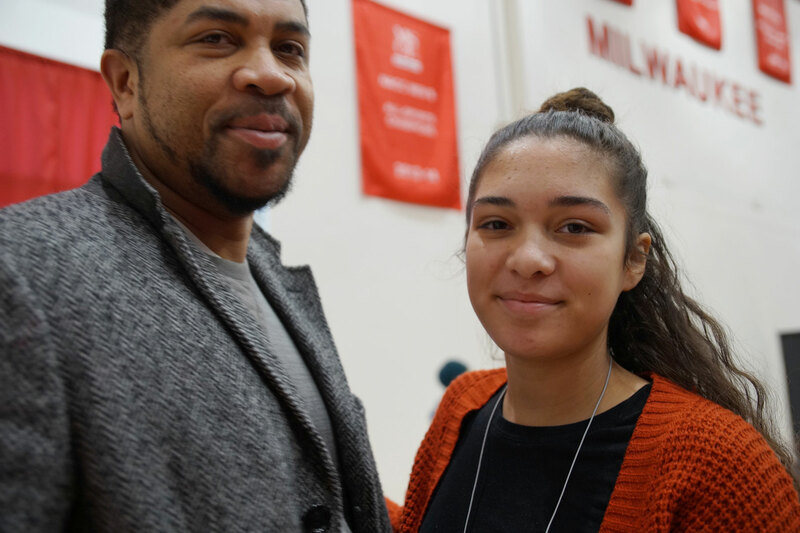 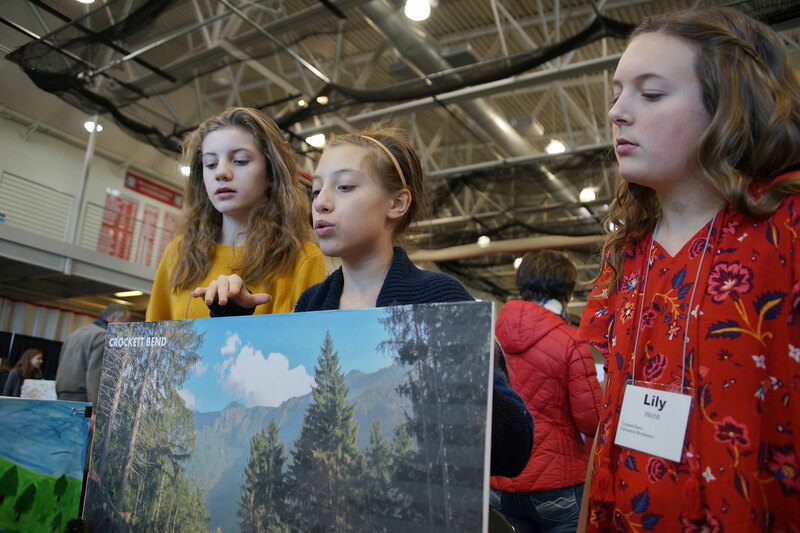 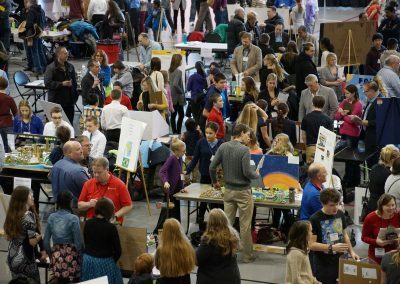 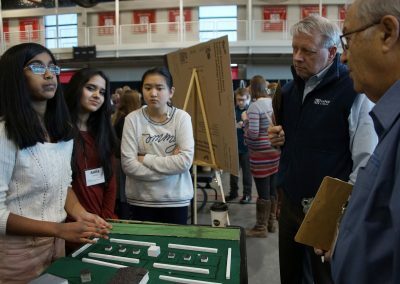 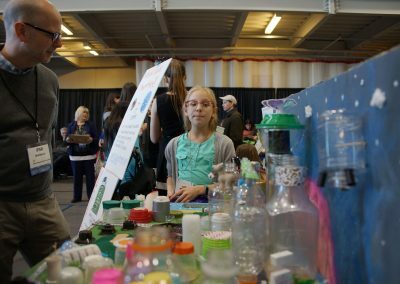 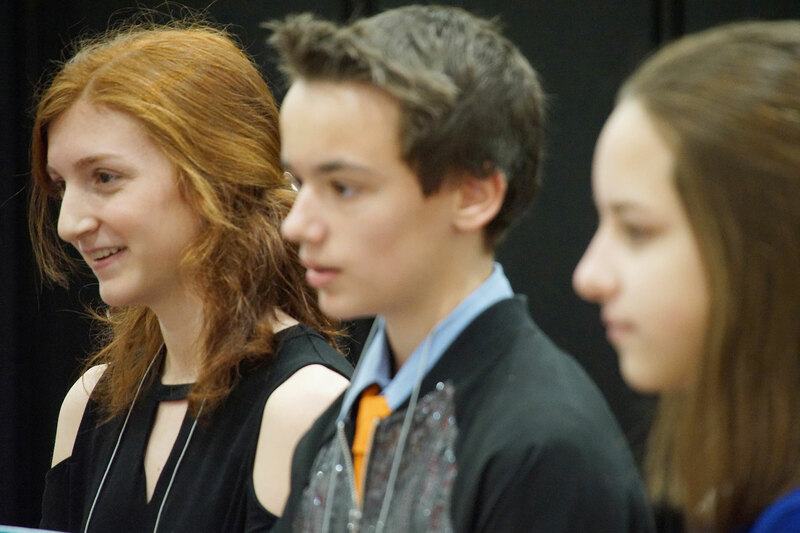 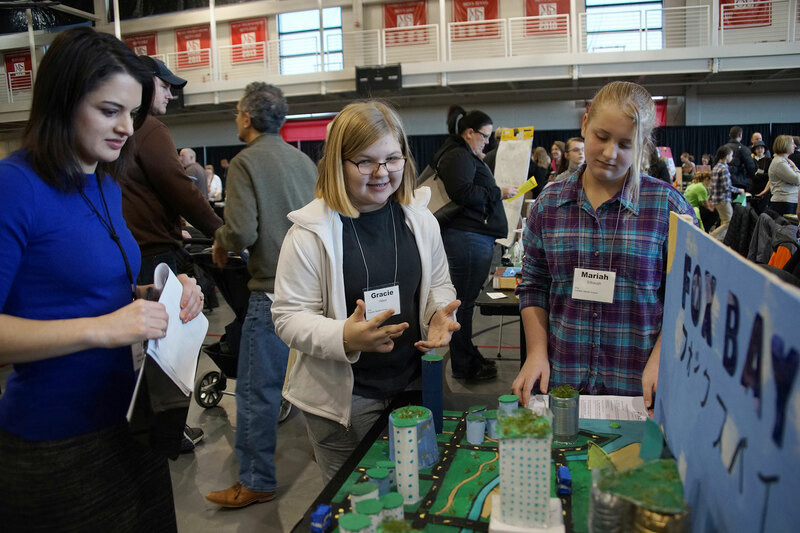 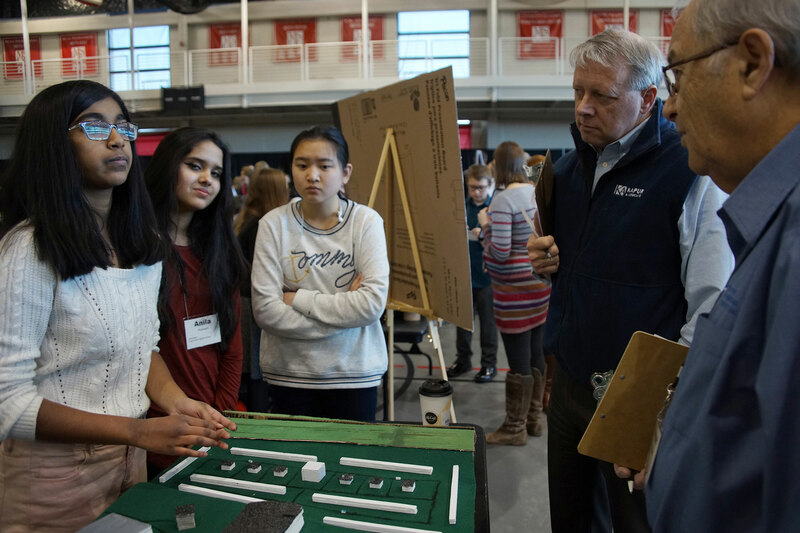 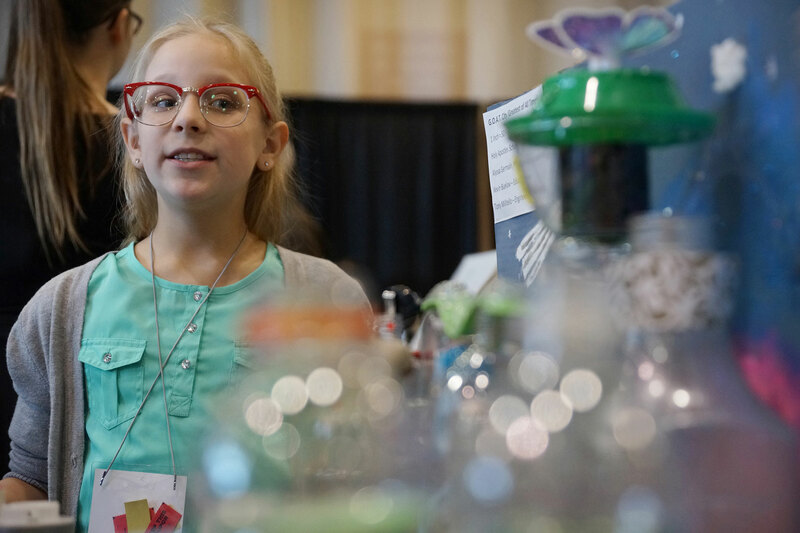 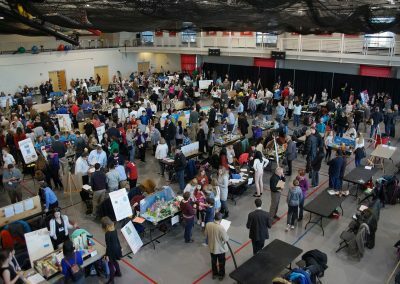 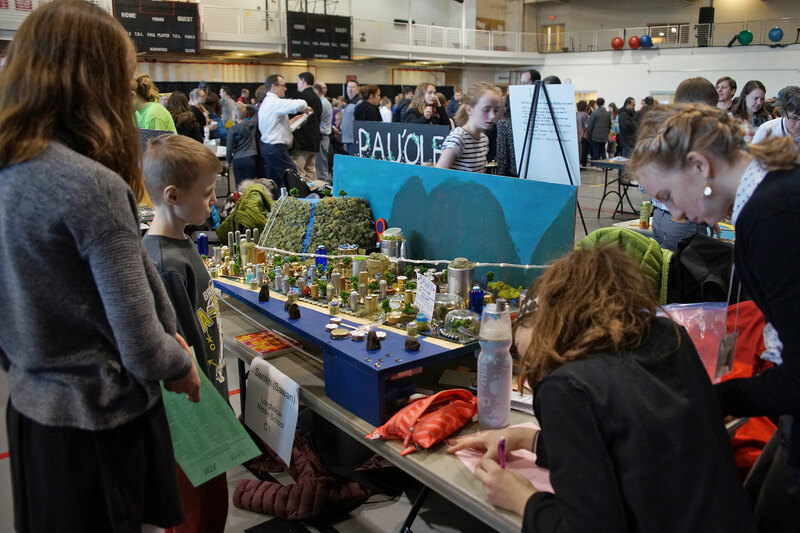 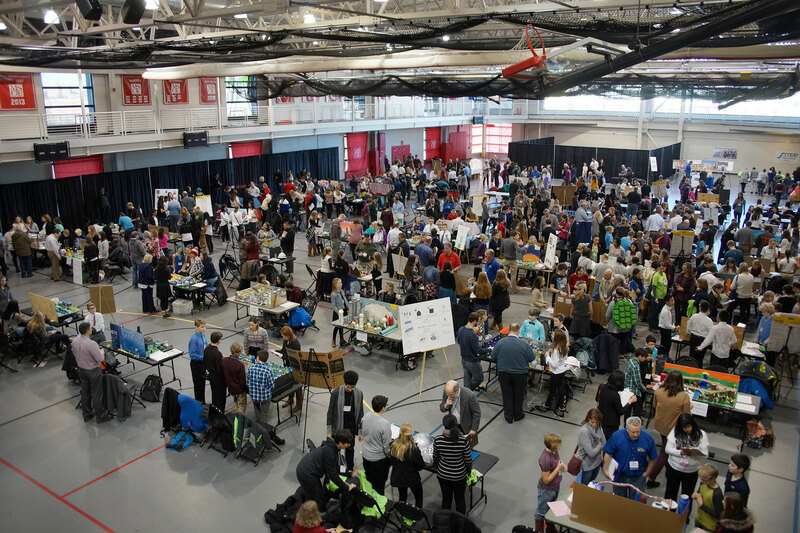 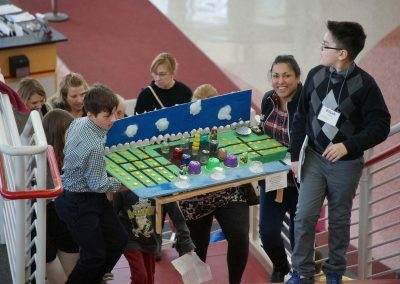 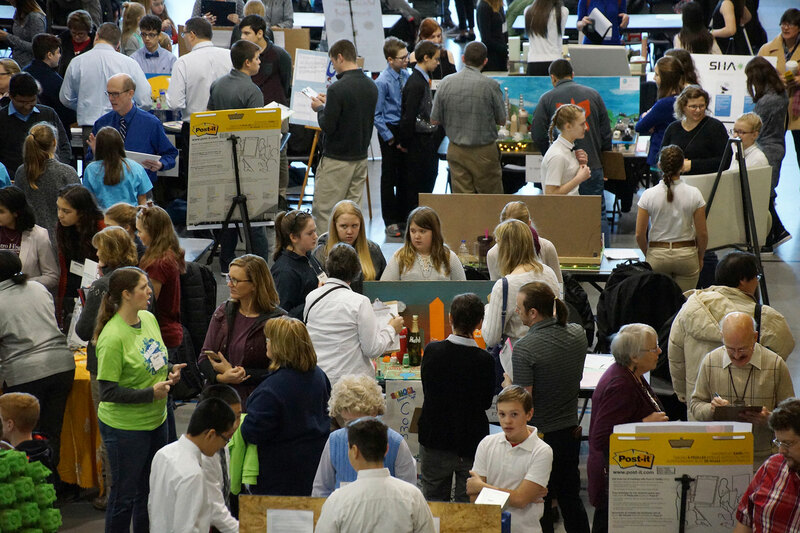 More than 250 students from 32 Wisconsin middle schools participated in the 26th Annual STEM Forward “Future City” Regional Competition at MSOE’s Kern Center on January 13. 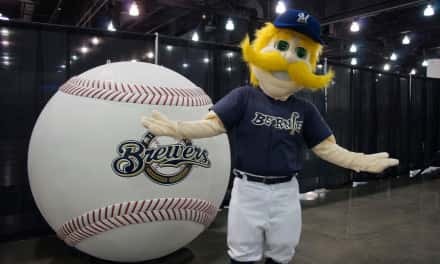 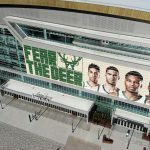 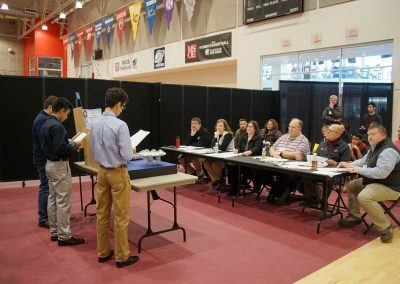 Of the 66 teams to participate in the 2018 tournament, the top team from the five finalists would receive an all-expense-paid trip to the February 18 national competition in Washington DC. 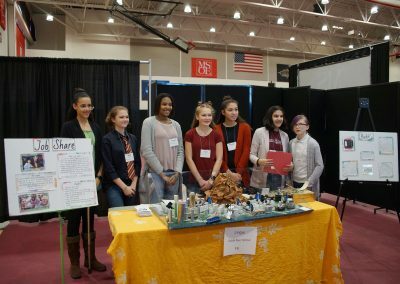 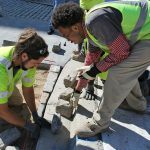 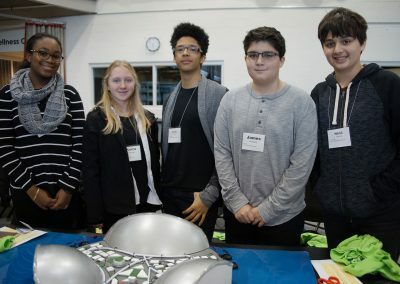 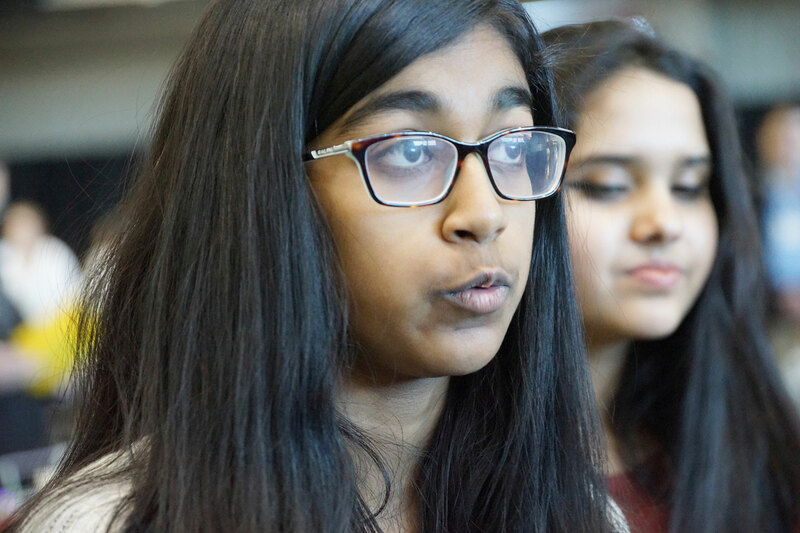 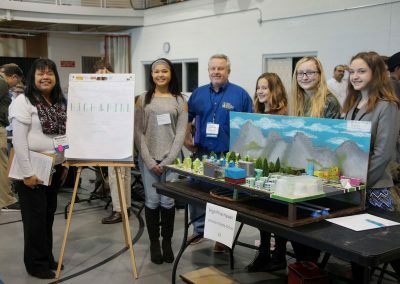 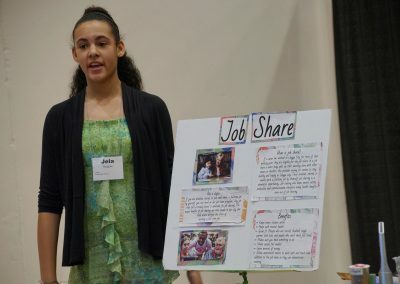 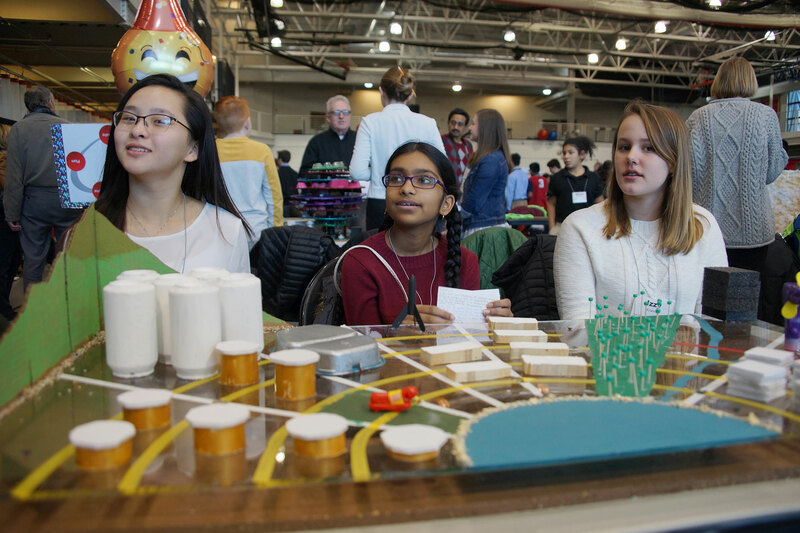 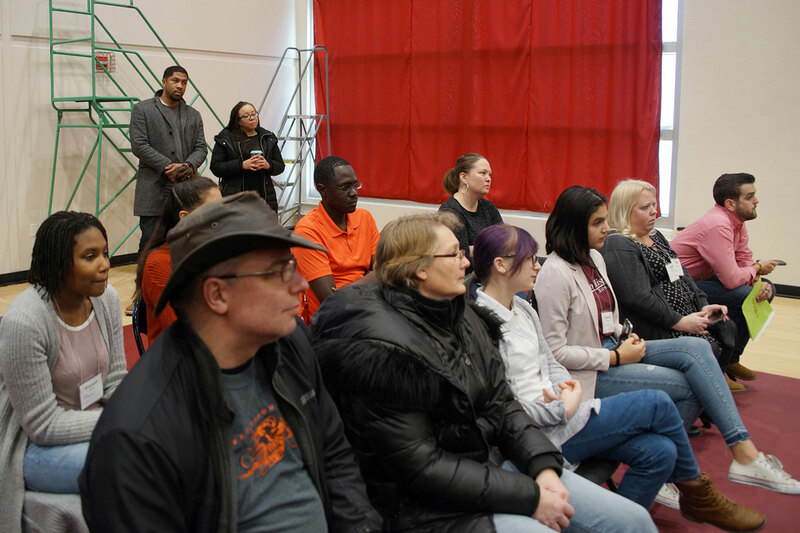 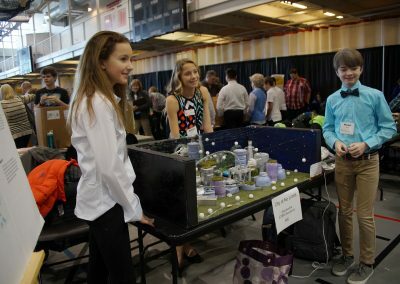 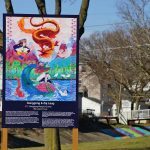 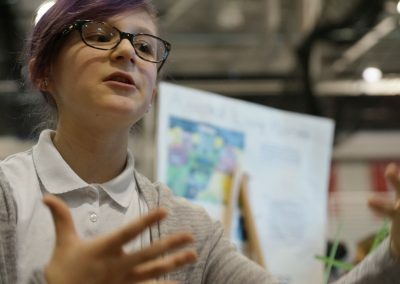 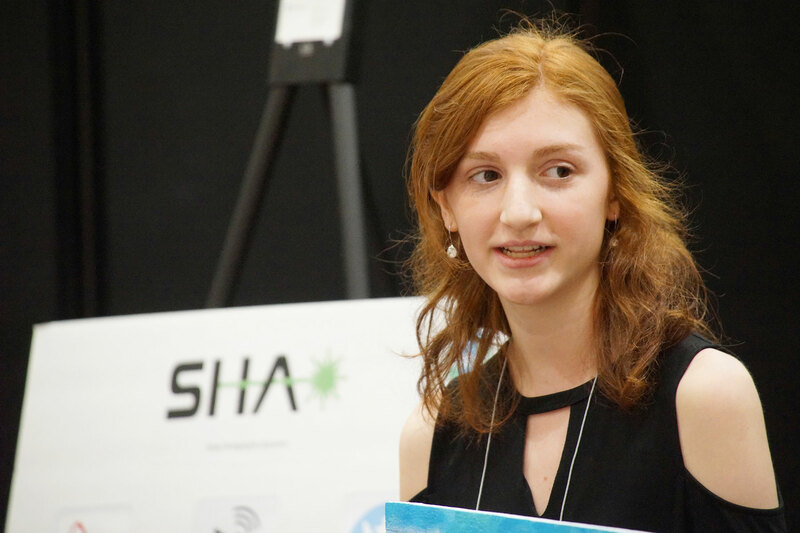 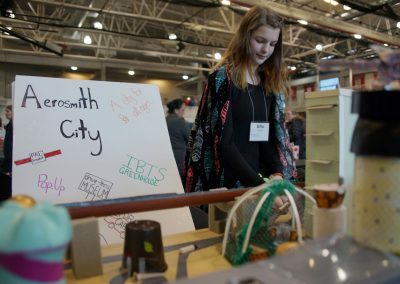 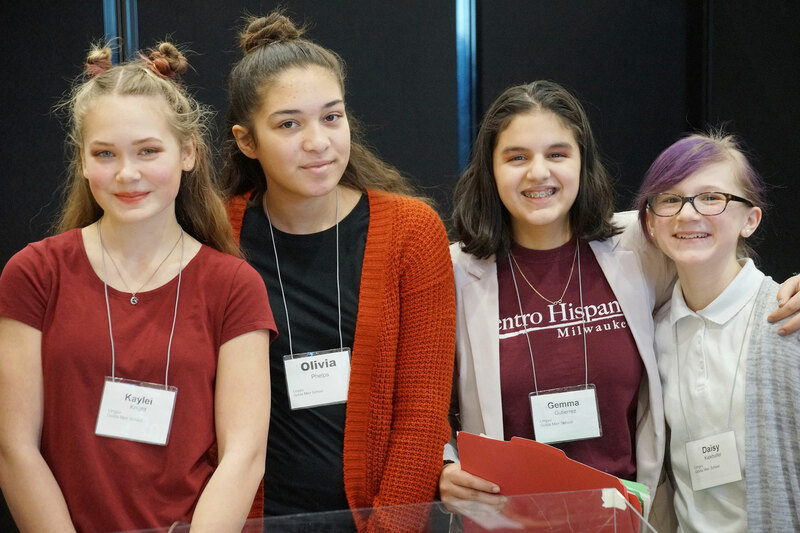 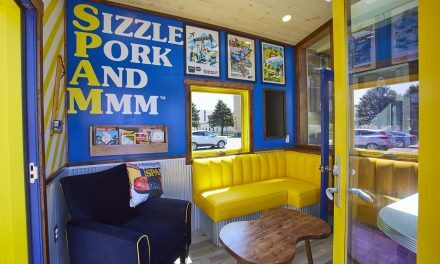 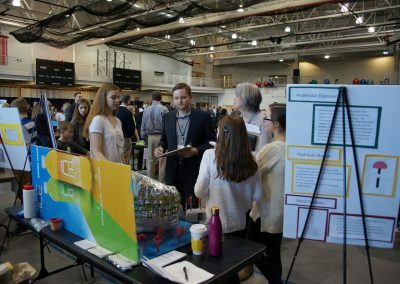 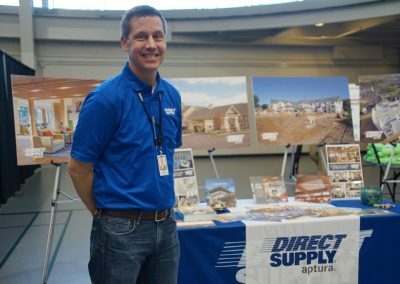 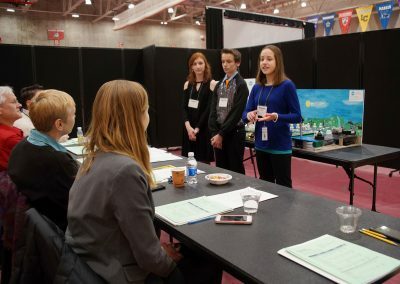 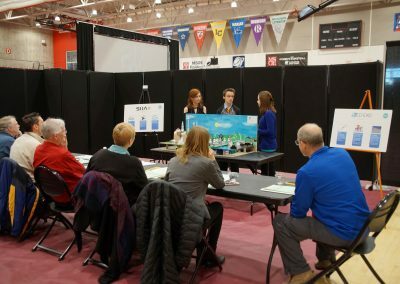 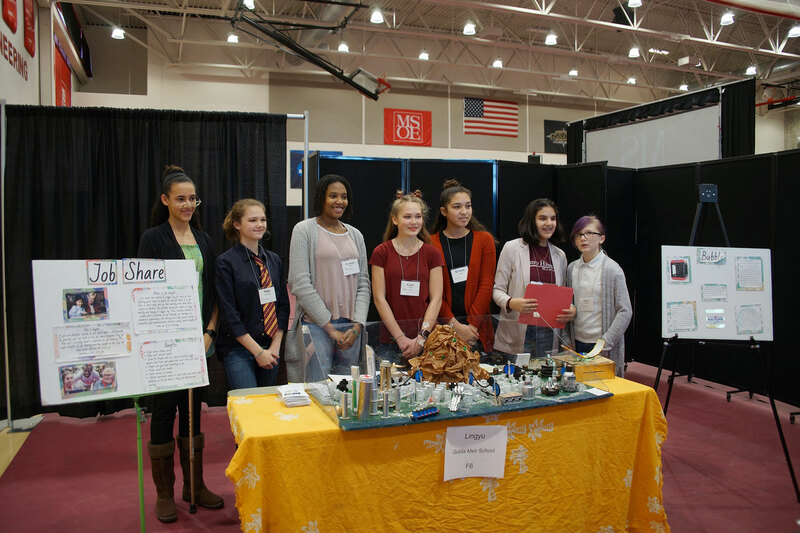 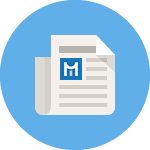 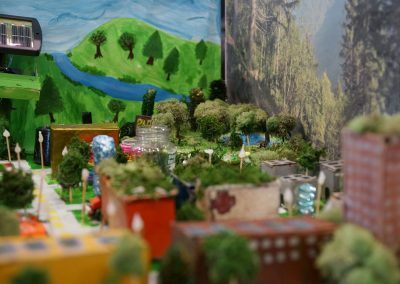 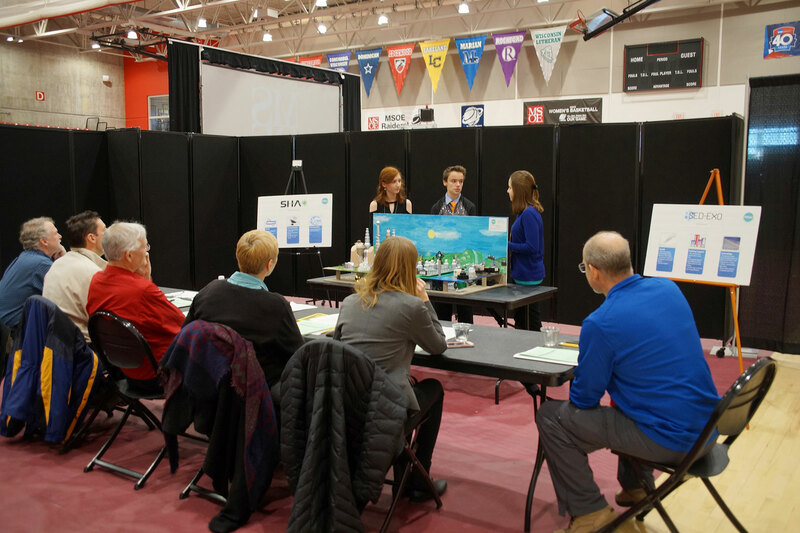 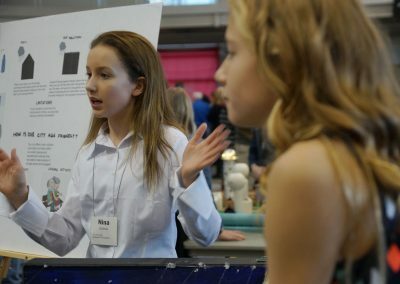 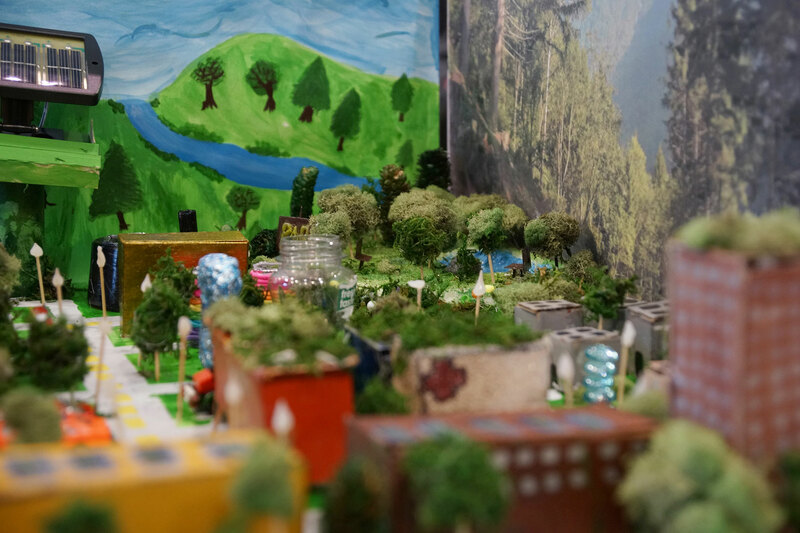 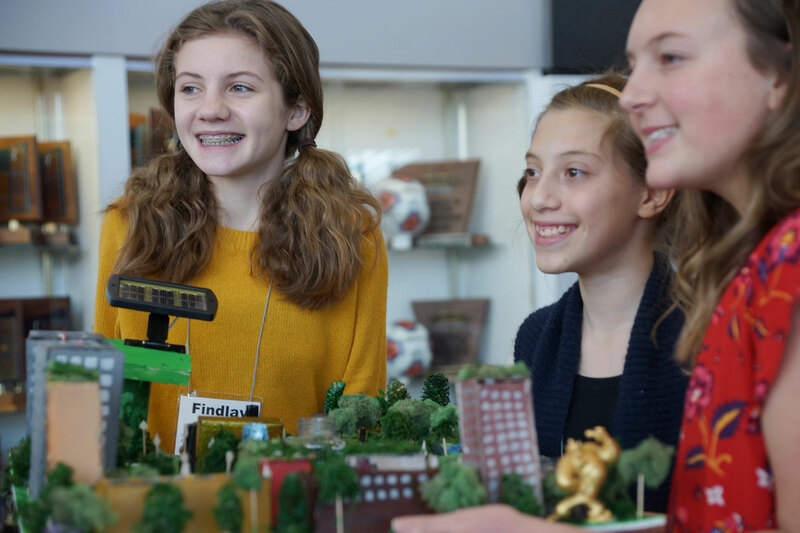 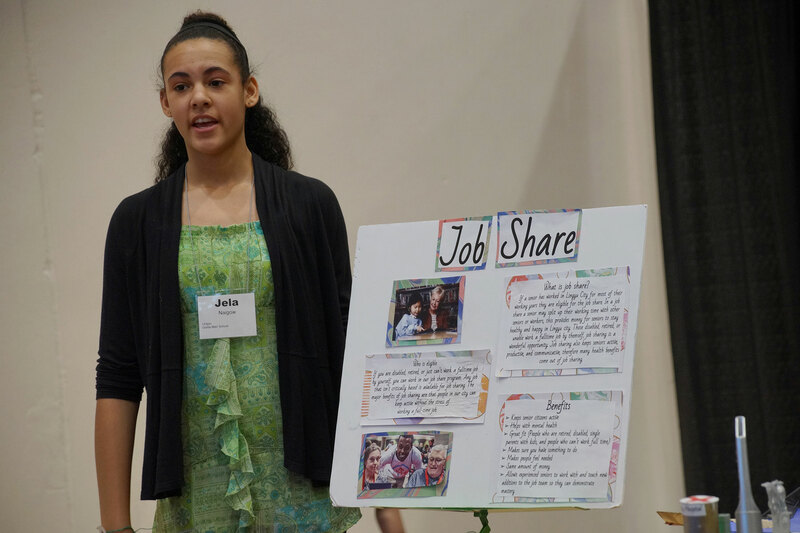 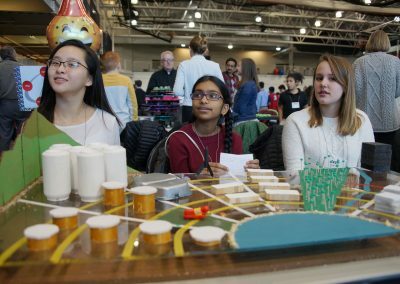 STEM Forward asked middle school students to develop an “Age Friendly” city design that provided innovative solutions to serve an urban area’s older population. 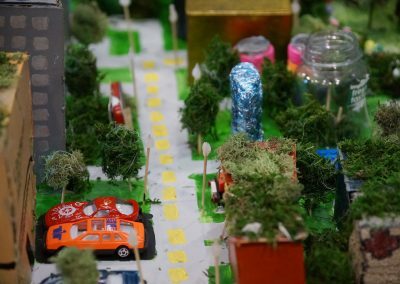 It would have to be sustainable and enable seniors to remain active, independent, and engaged in the community. 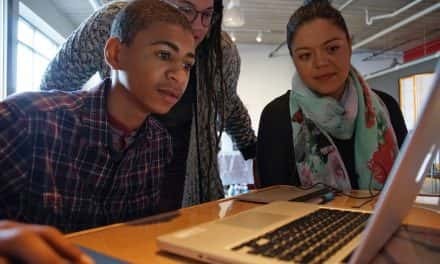 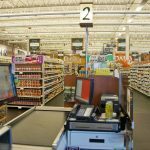 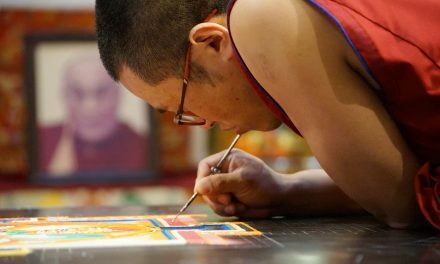 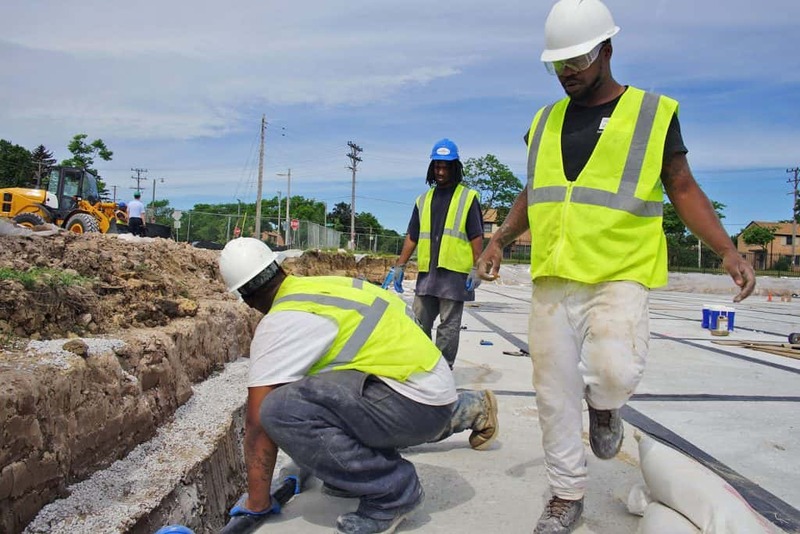 Older adults are staying in the workforce longer and living independently, with trends projecting that by 2050 seniors will outnumber children under the age of 14. 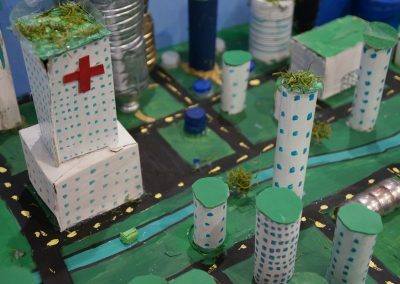 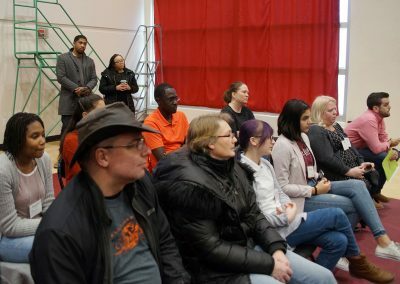 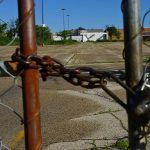 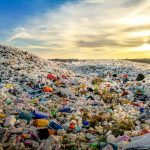 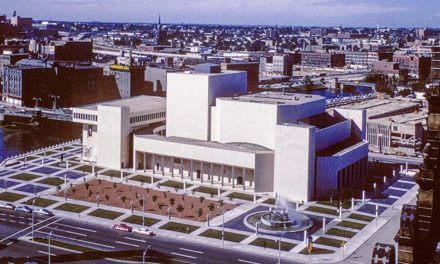 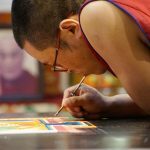 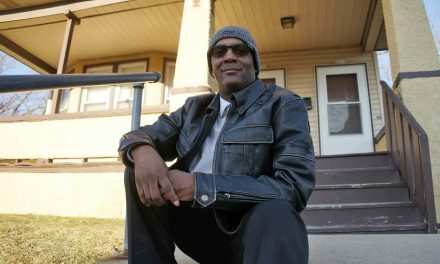 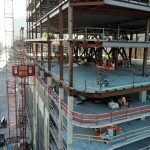 Because of this demographic shift, the World Health Organization (WHO) has outlined plans for urban development in cities to deal with the unique needs of older adults, who experience physical and cognitive change and risk isolation. Planning for an elderly population means conceptualizing accessible and safe transportation options, barrier-free access to buildings and infrastructure, appropriate social welfare programs and open access to health care support and services. 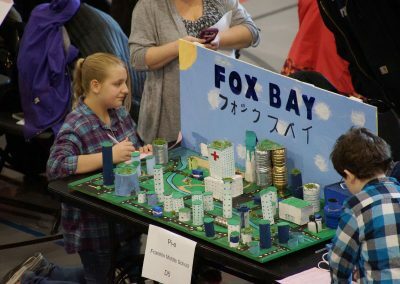 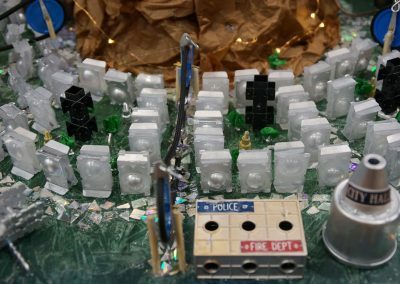 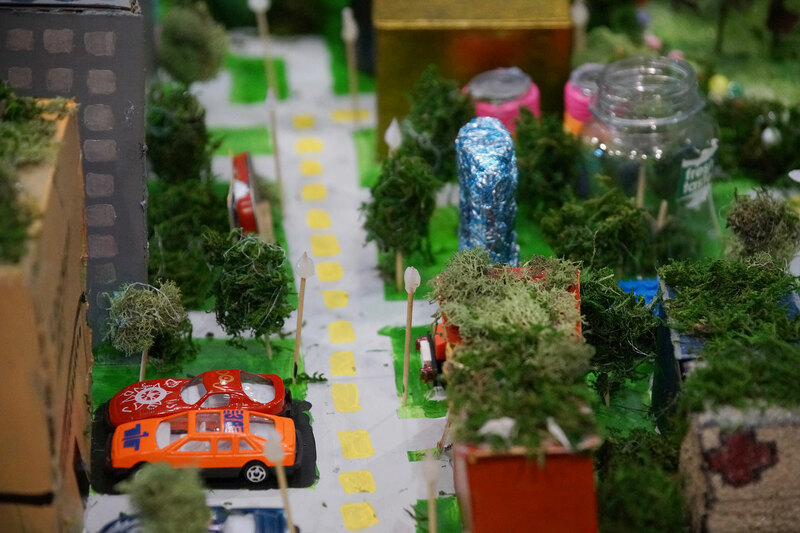 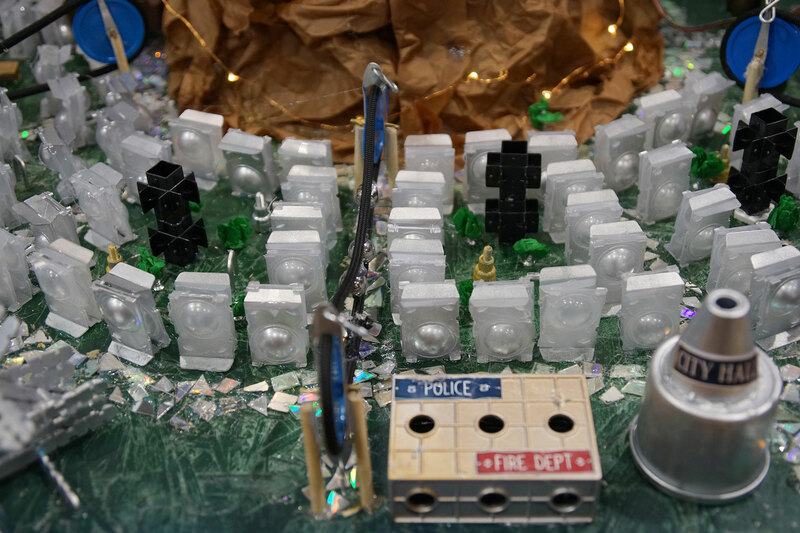 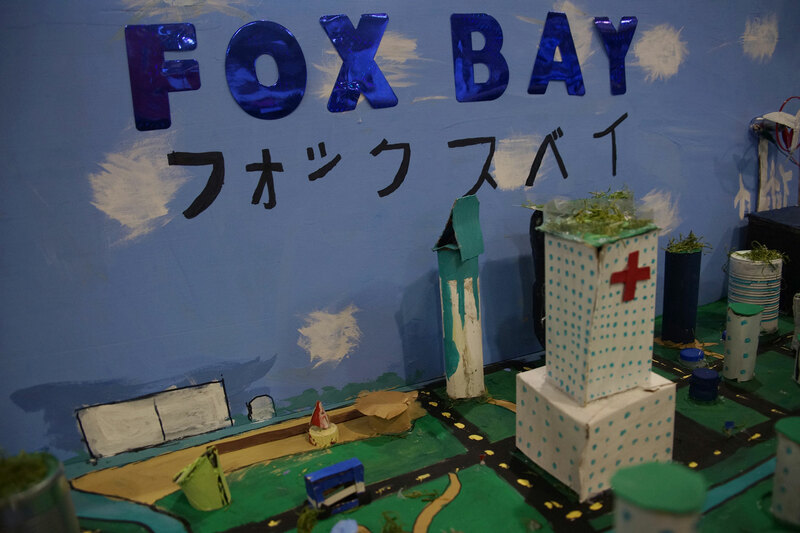 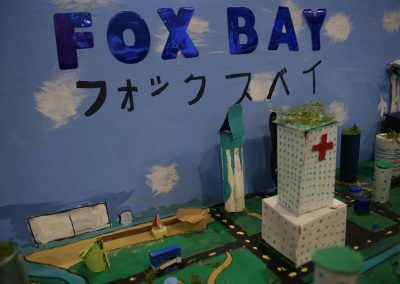 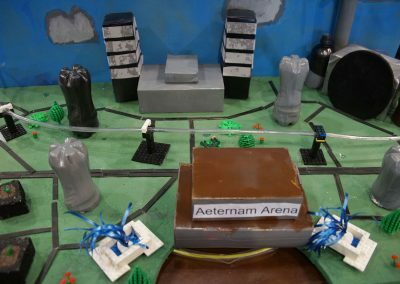 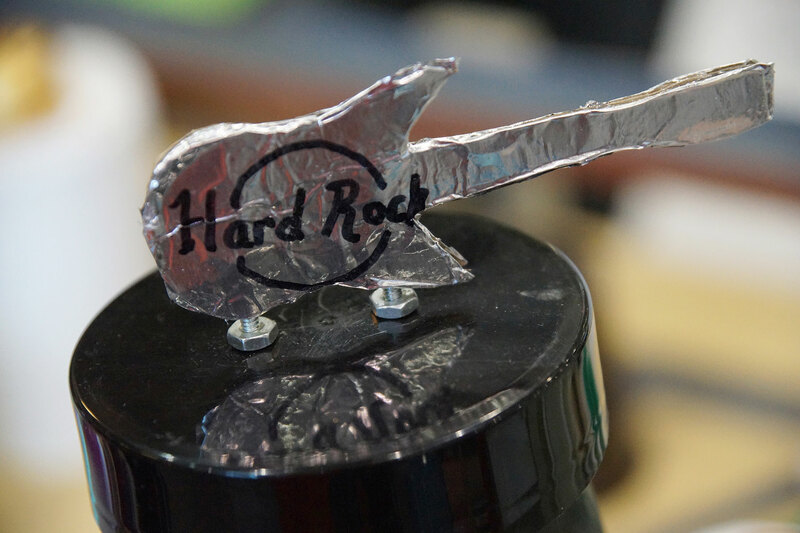 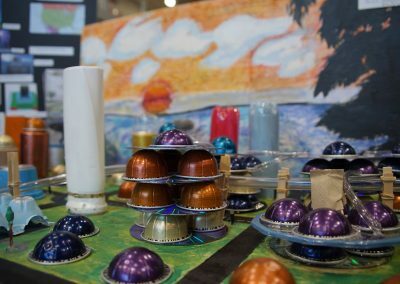 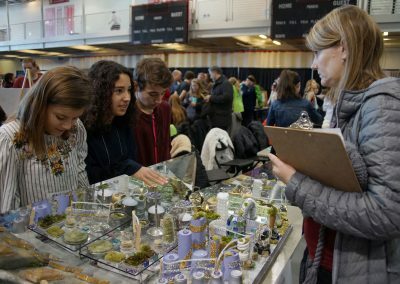 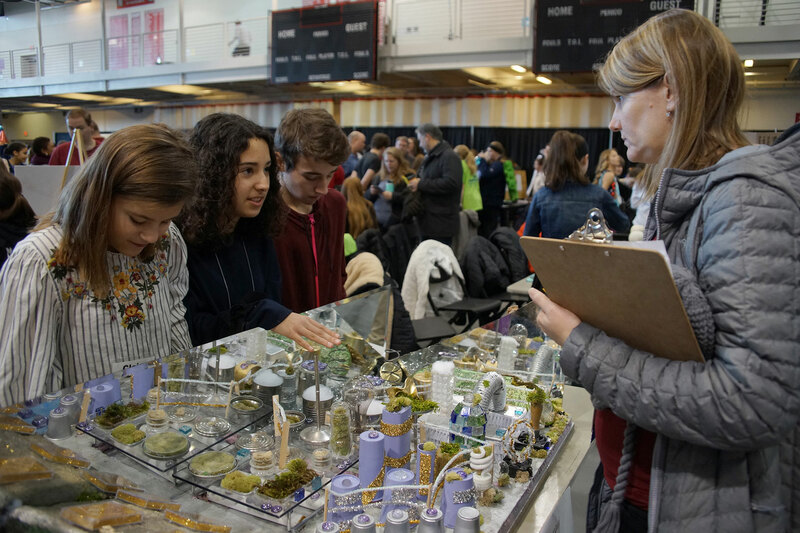 For the competition, students were challenged to use recycled materials to construct table-top models of their futuristic city. 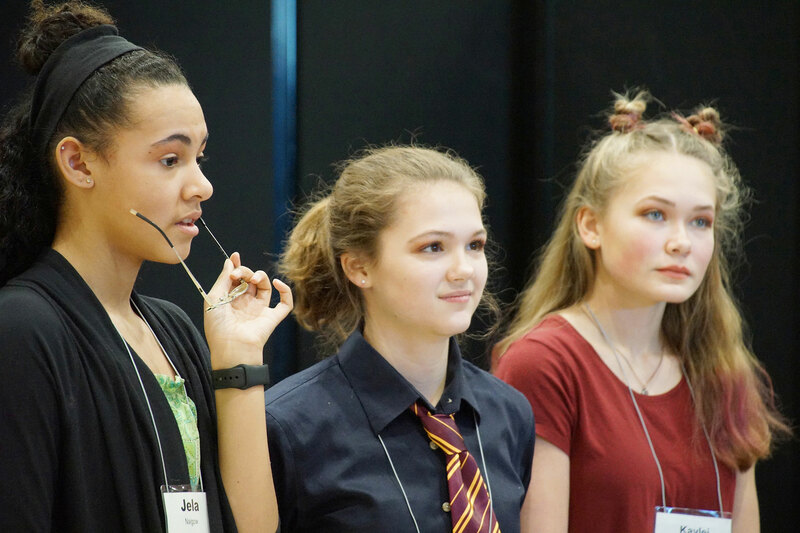 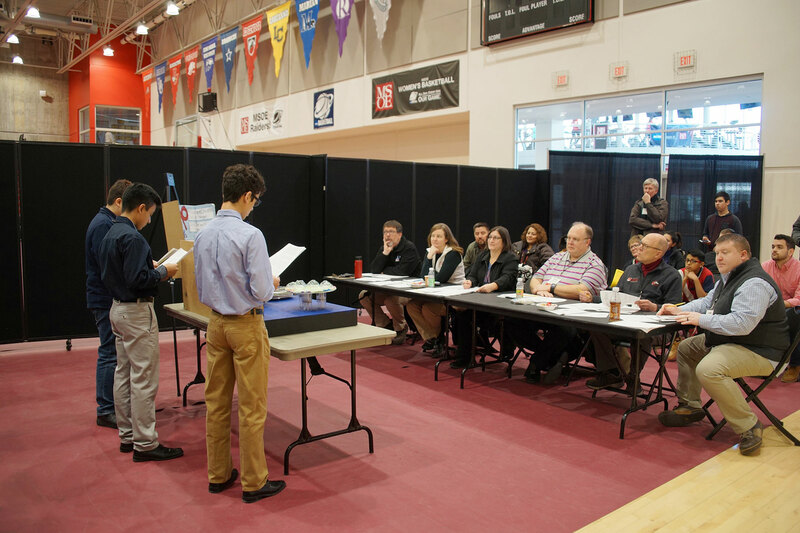 Applying their skills from science, technology, engineering, and math (STEM) studies, each team wrote a 1,500 word essay and did a live presentation of their concept in front of judges. Golda Meir School’s Lingyu city was heavily based on a bubble system that allowed for flexible senior transportation, and doubled as a health care delivery platform. 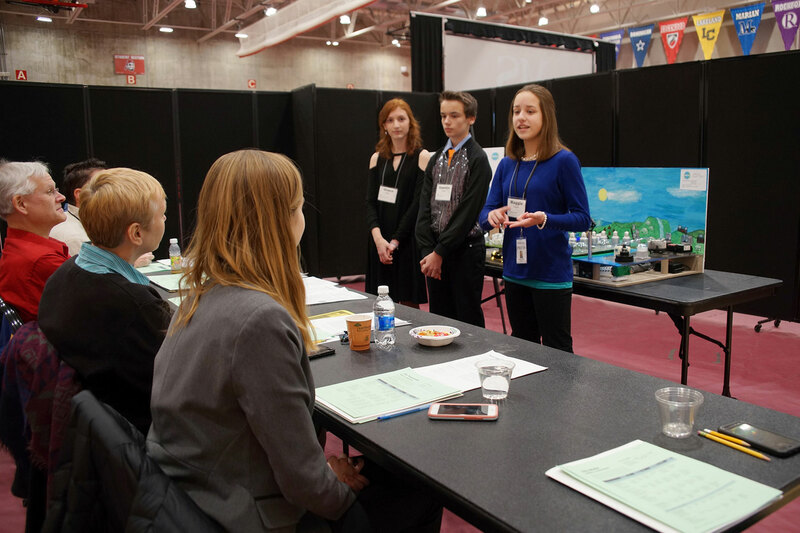 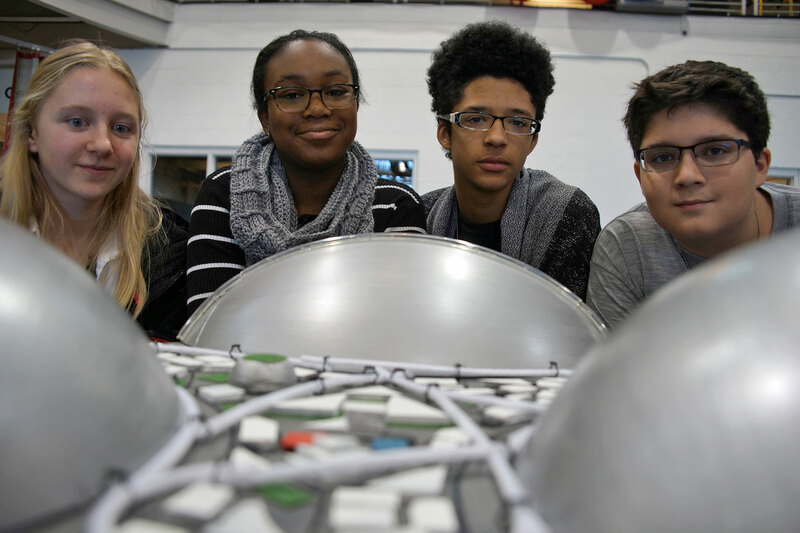 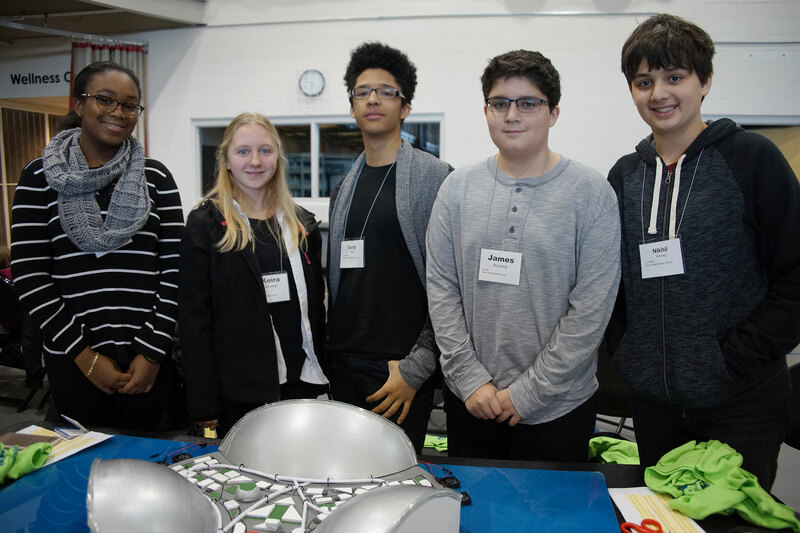 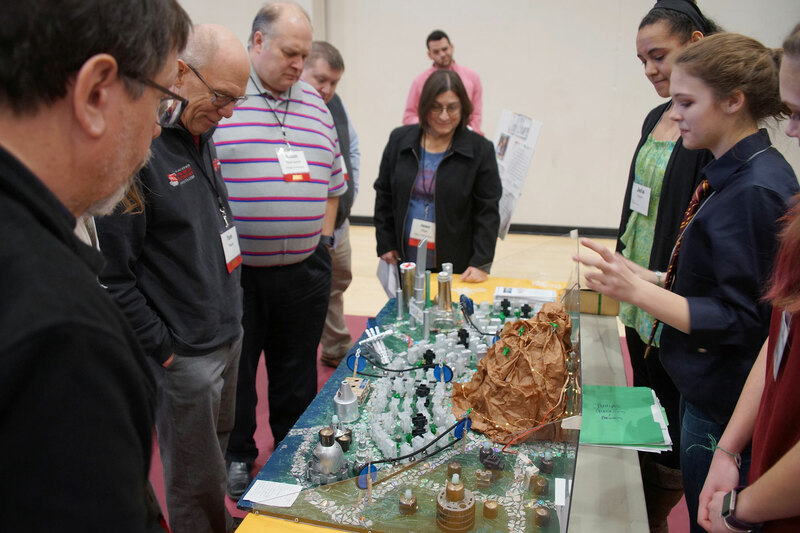 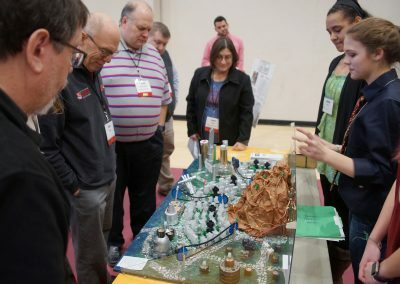 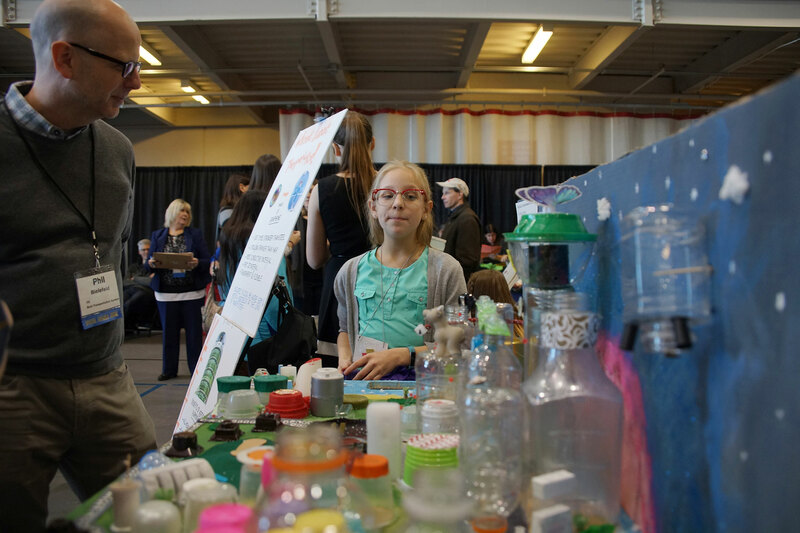 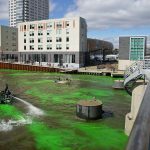 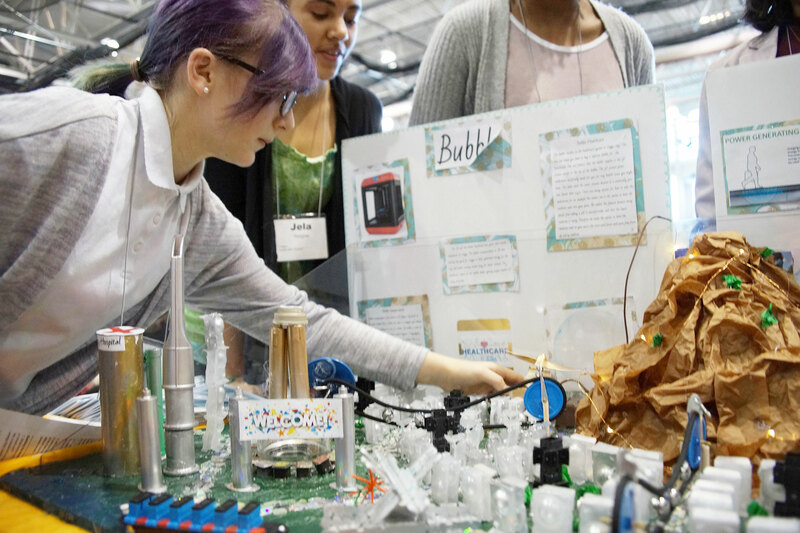 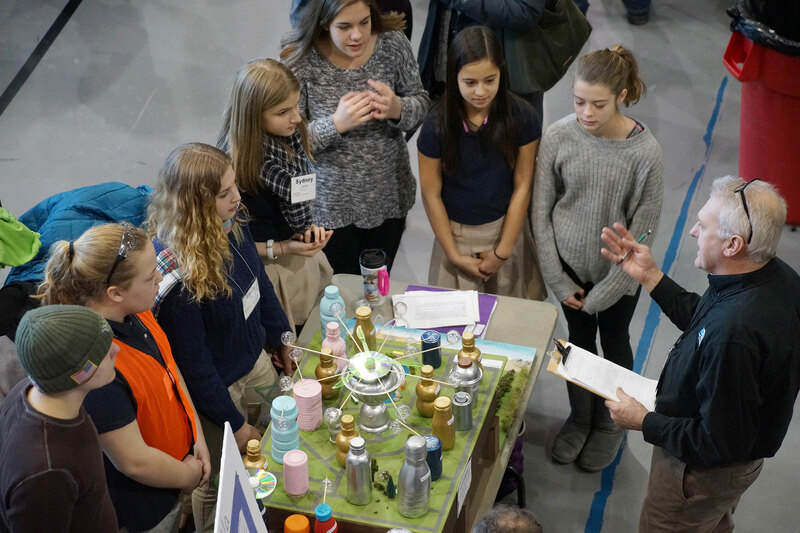 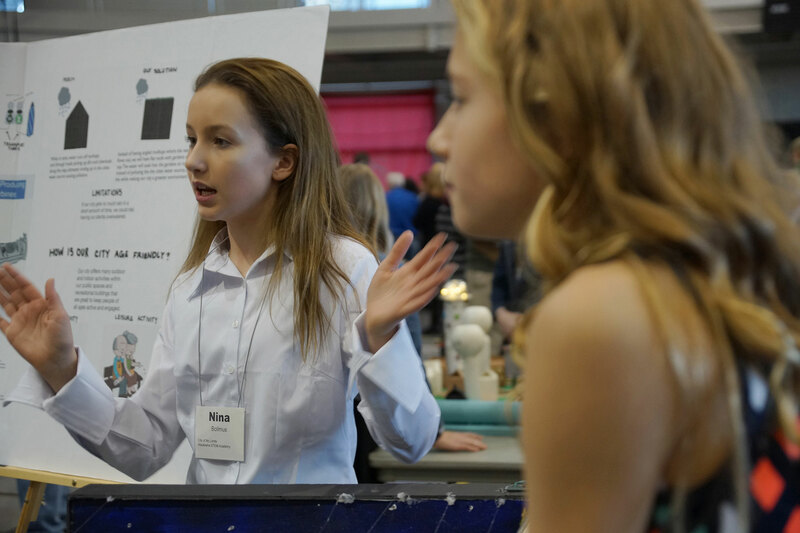 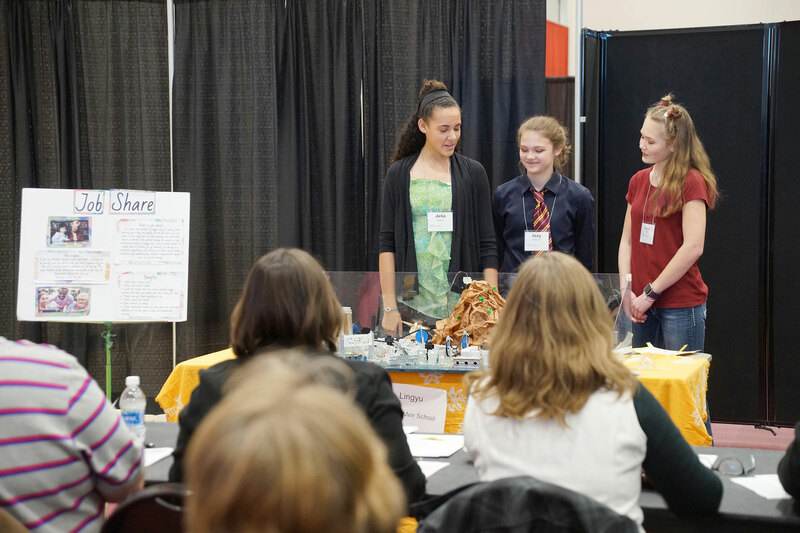 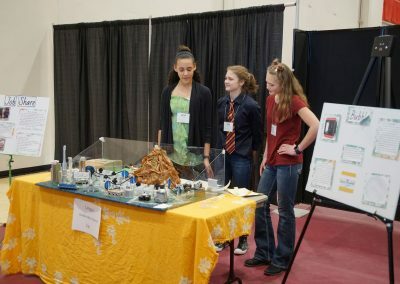 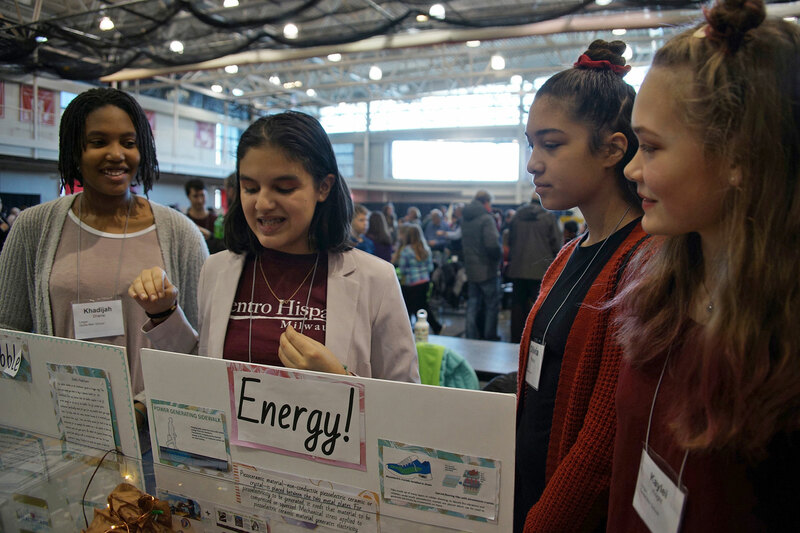 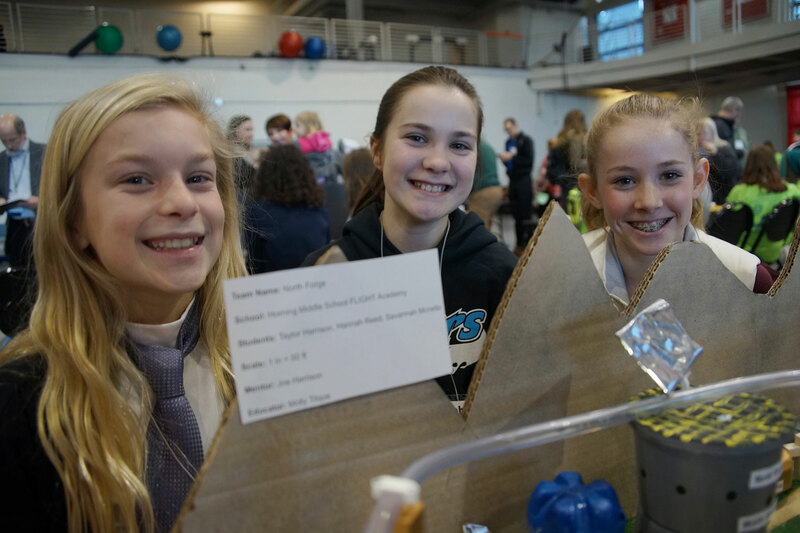 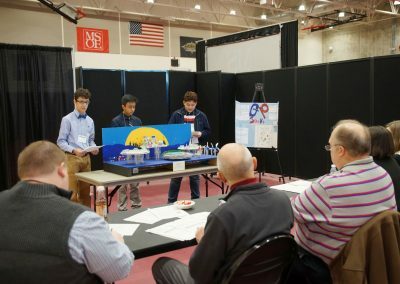 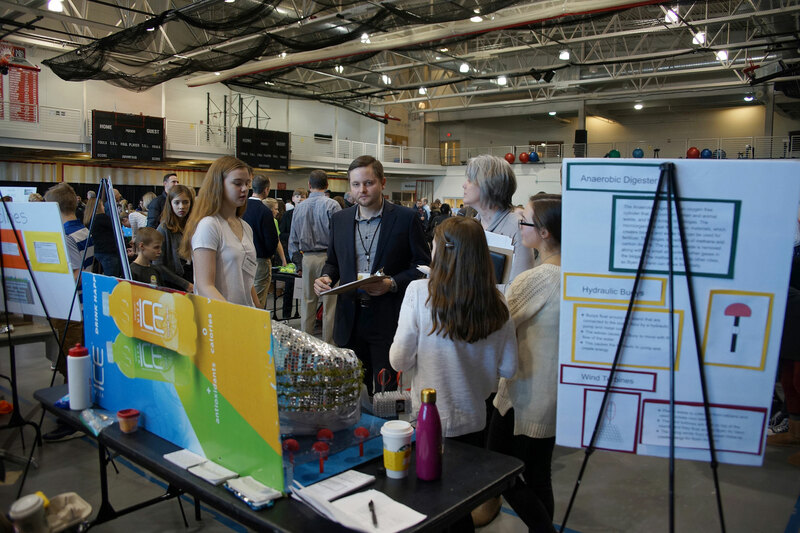 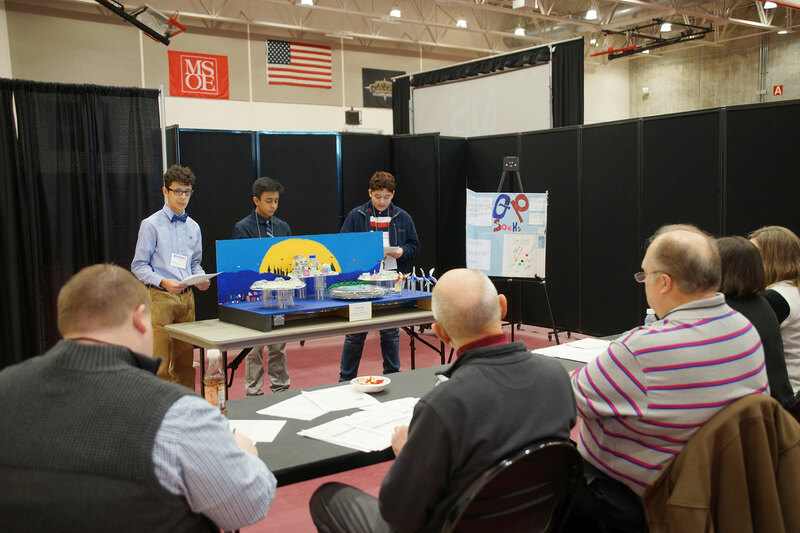 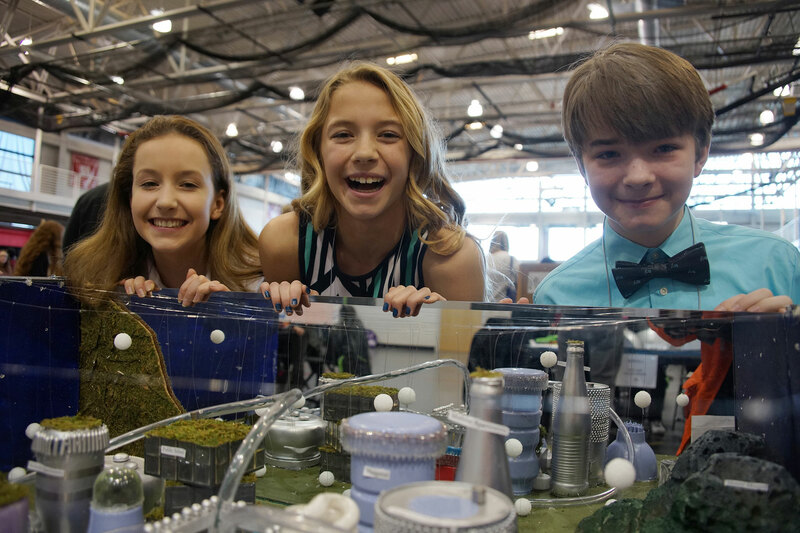 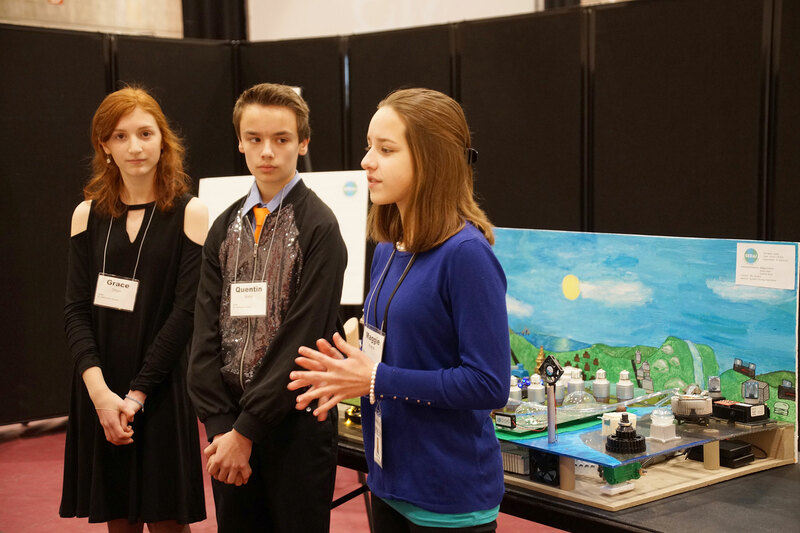 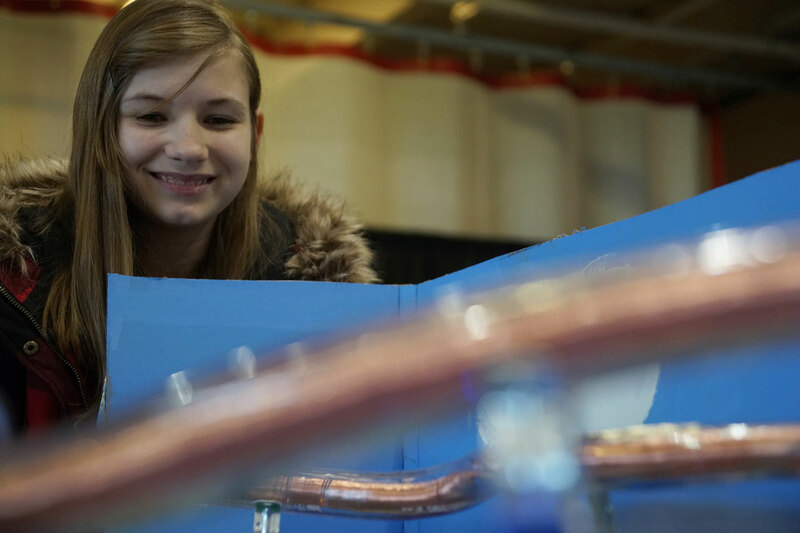 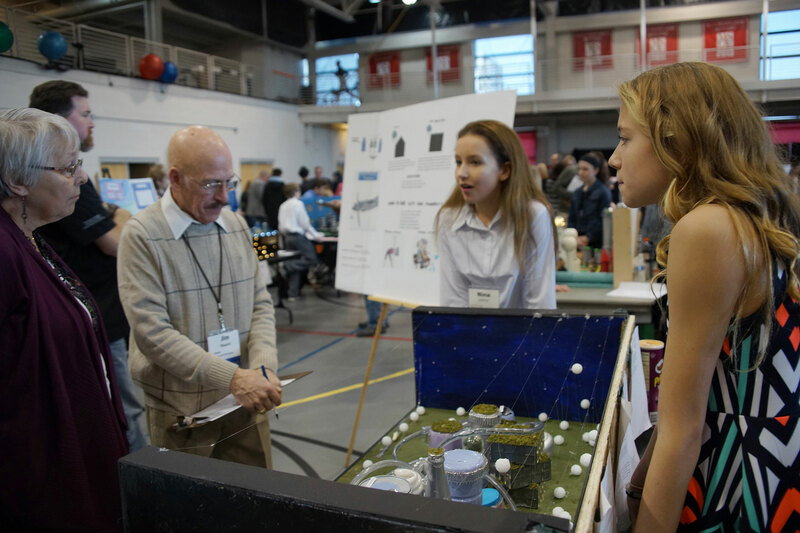 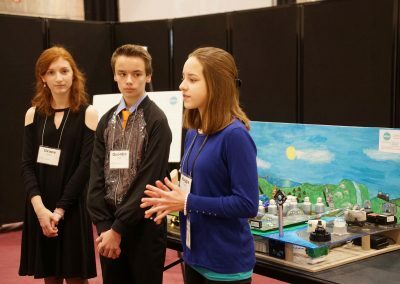 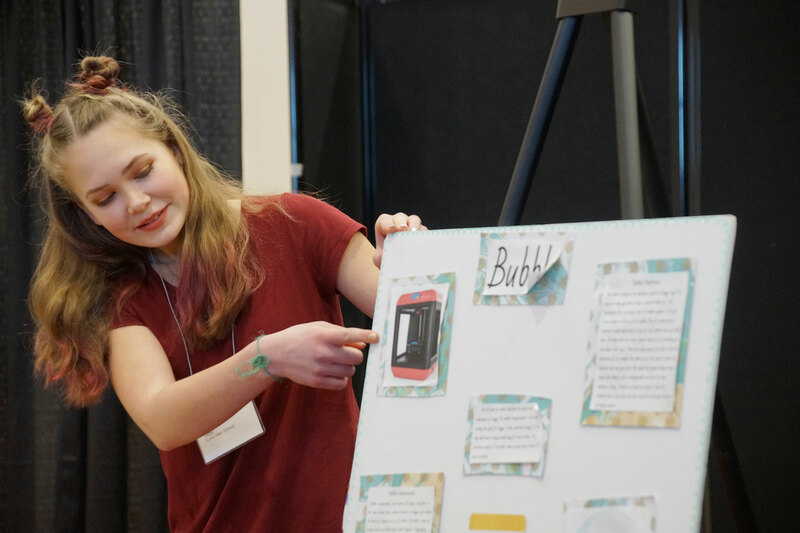 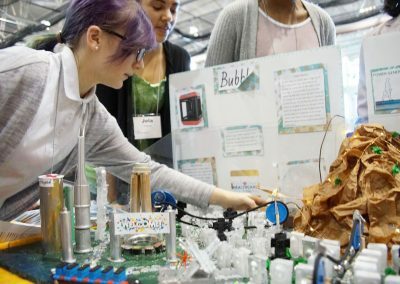 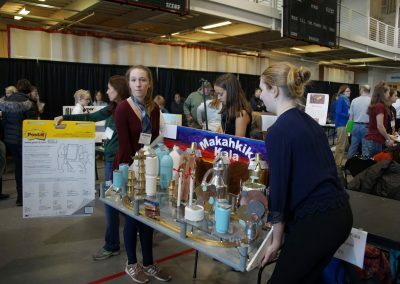 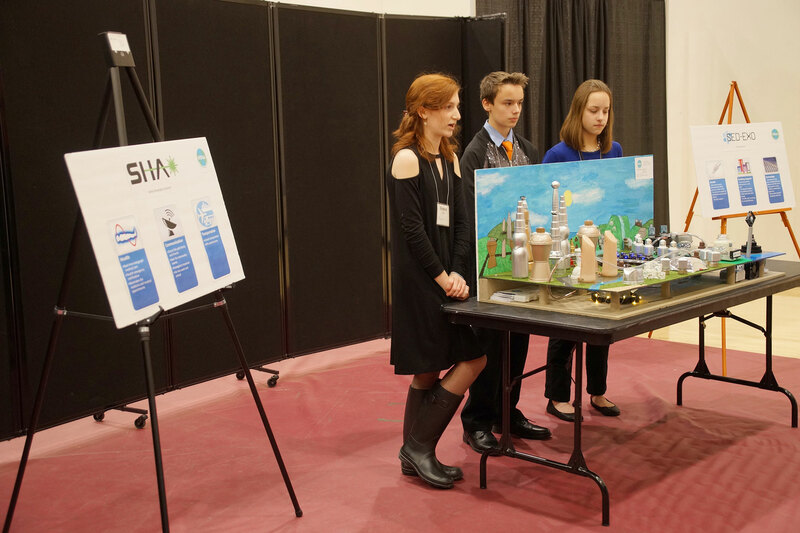 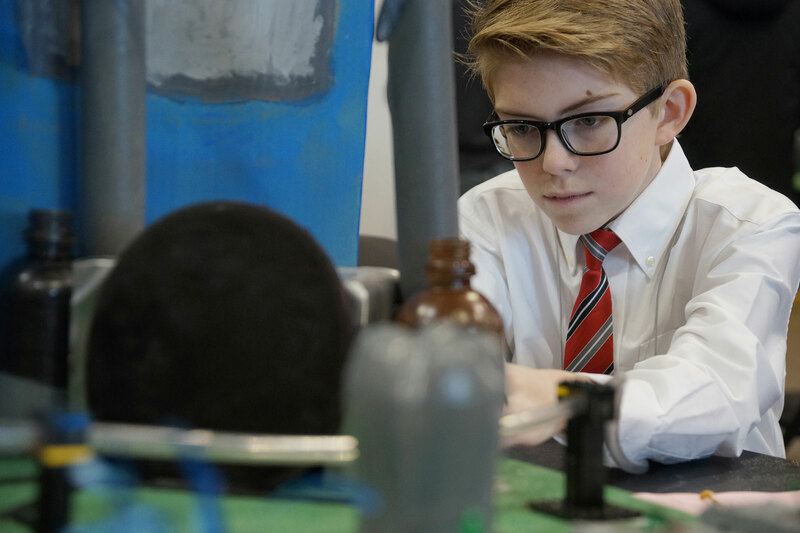 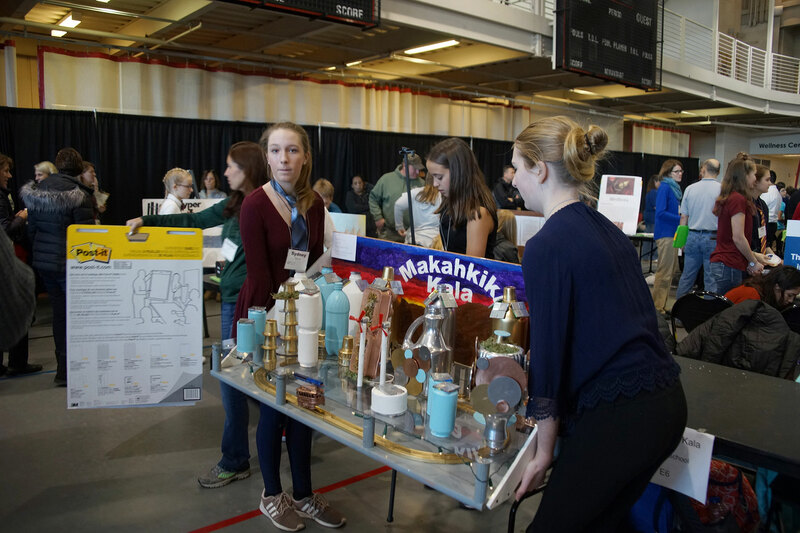 Waukesha STEM Academy’s City of No Limits used supercavitation, encasing conveyance tubes in water, for their transit network powered with thermal energy from a controlled volcano. 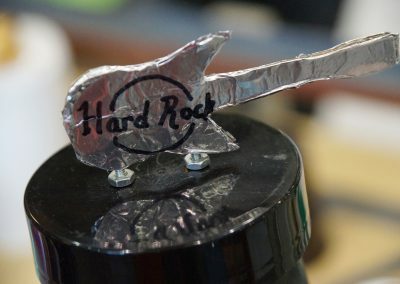 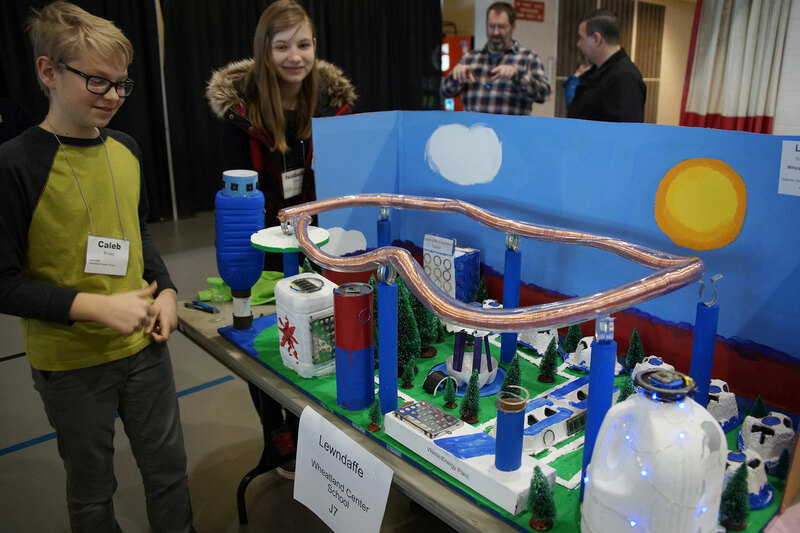 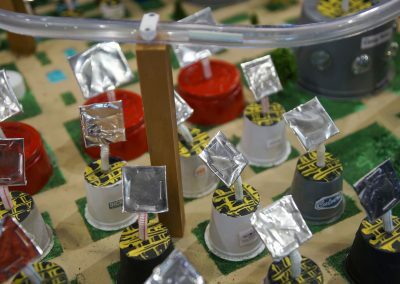 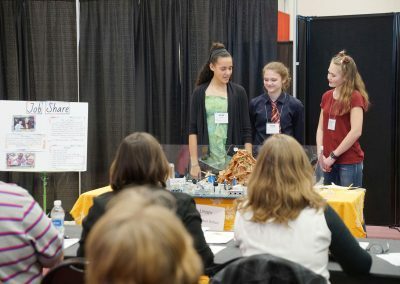 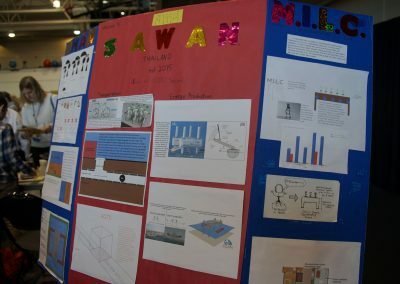 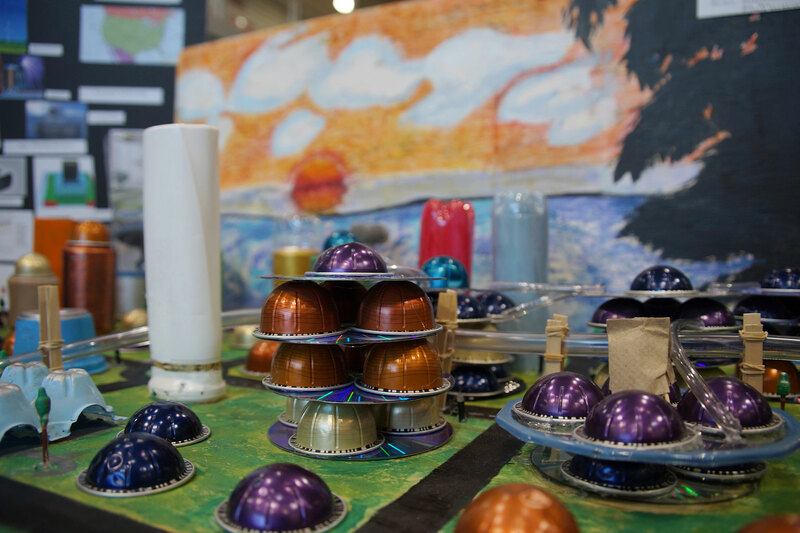 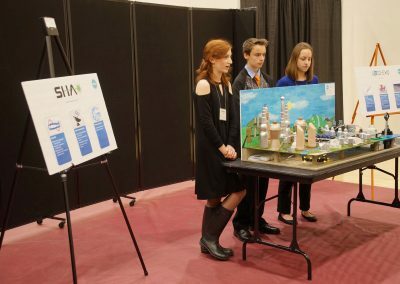 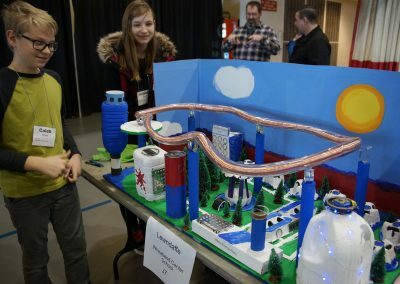 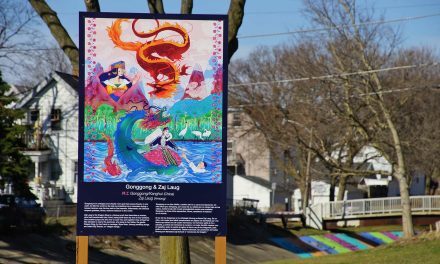 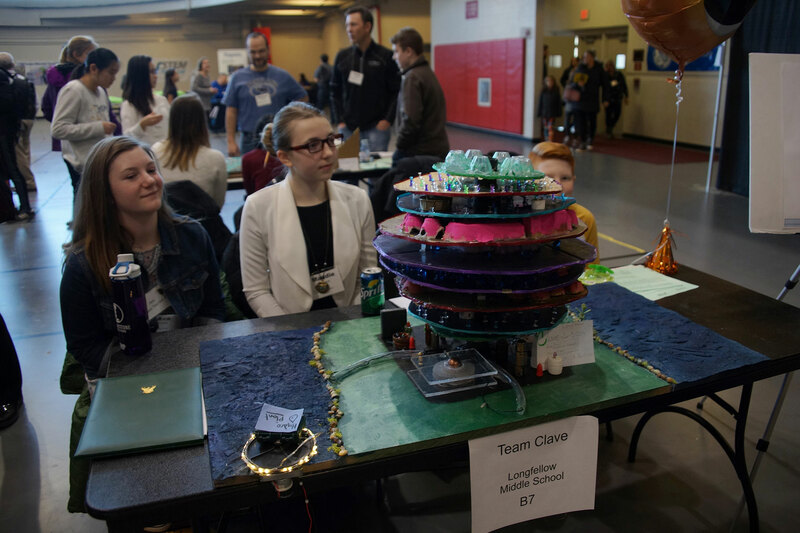 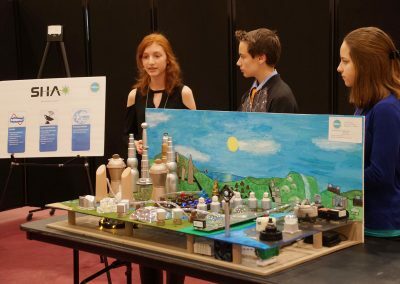 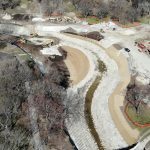 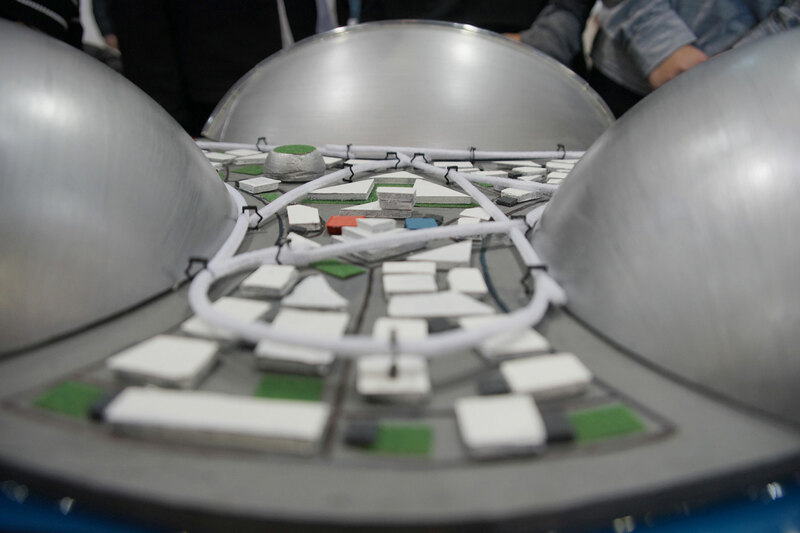 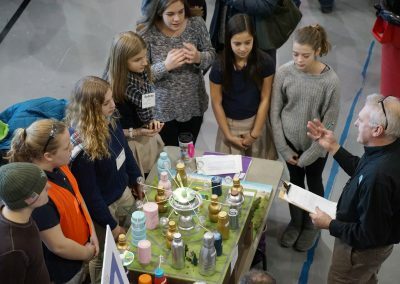 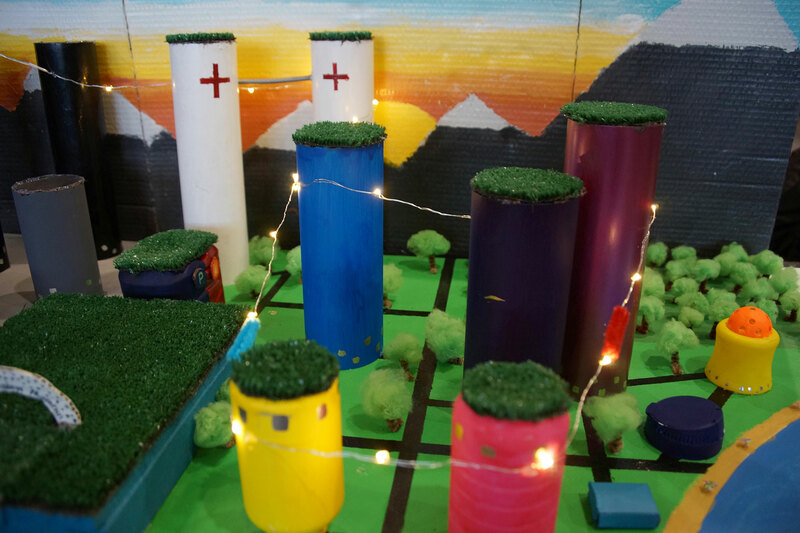 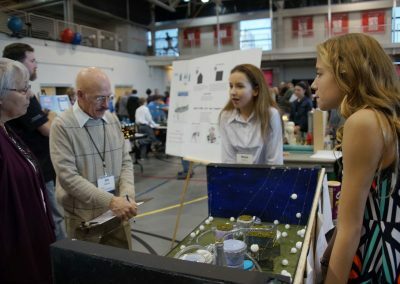 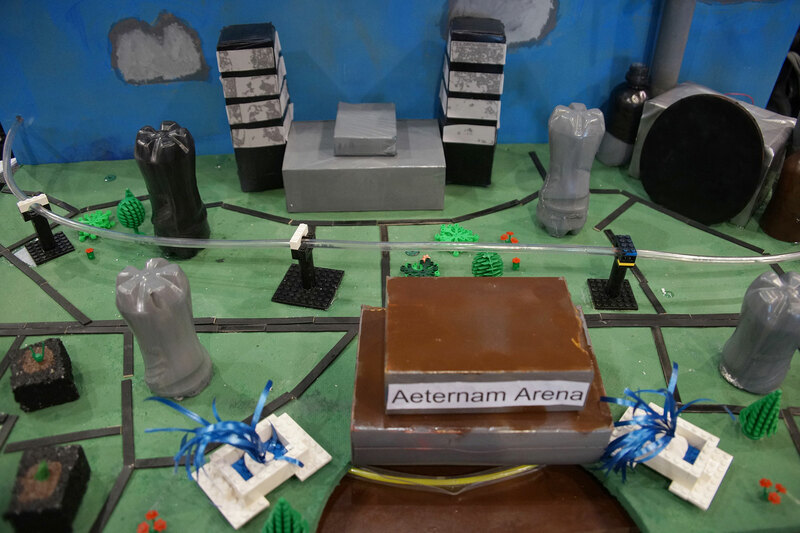 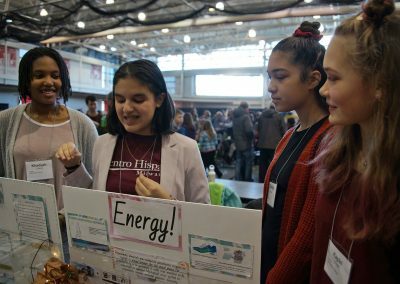 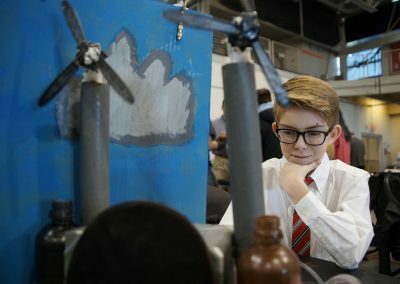 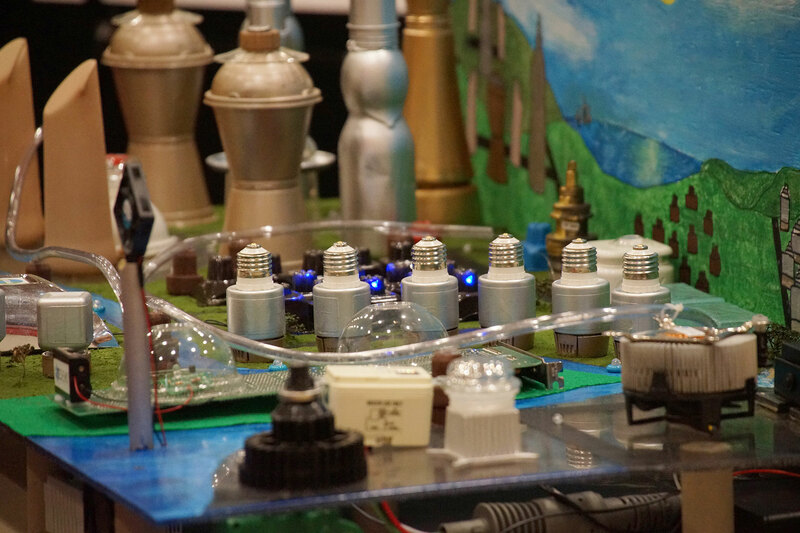 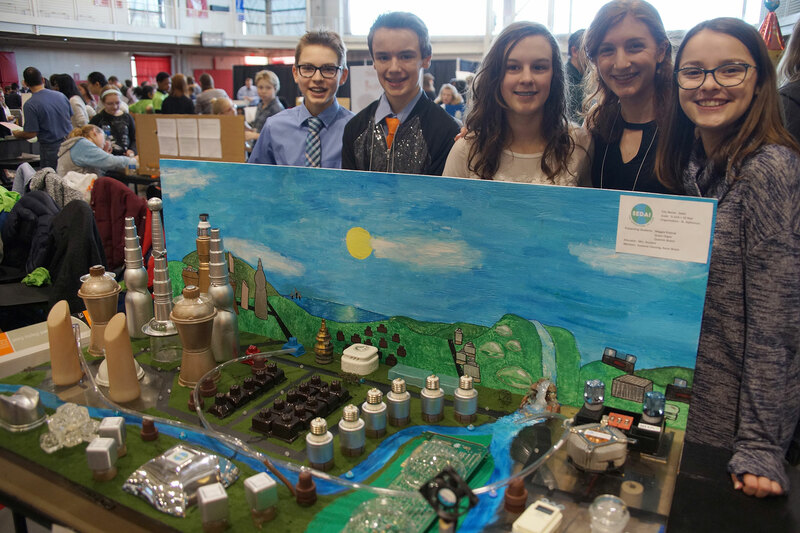 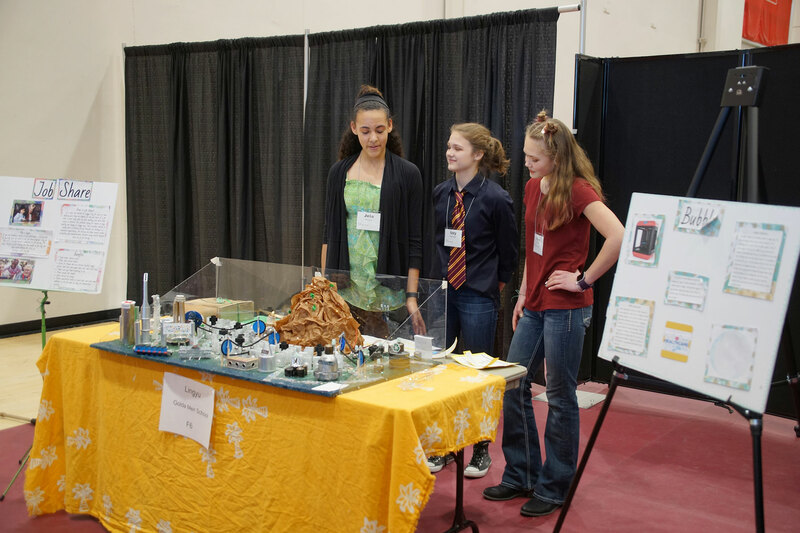 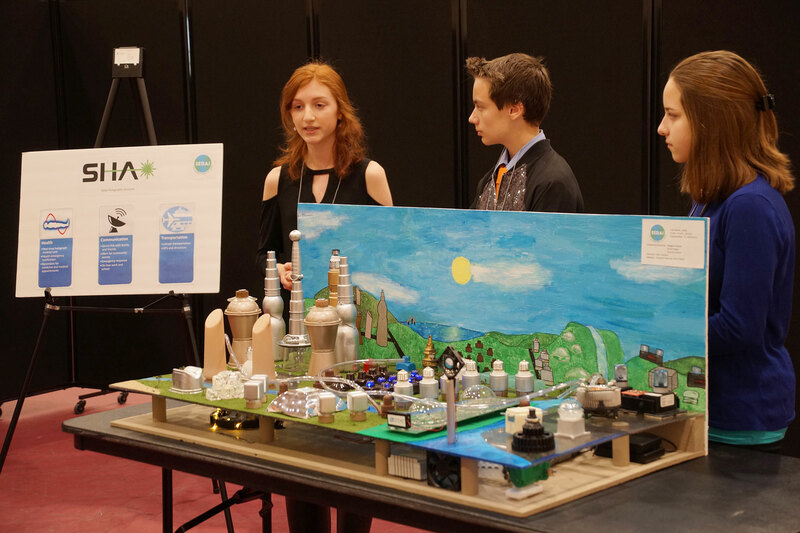 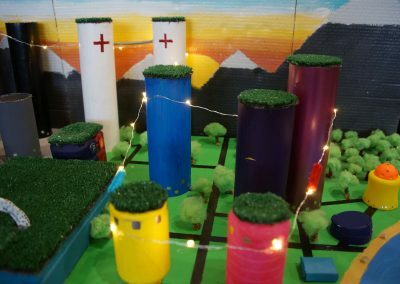 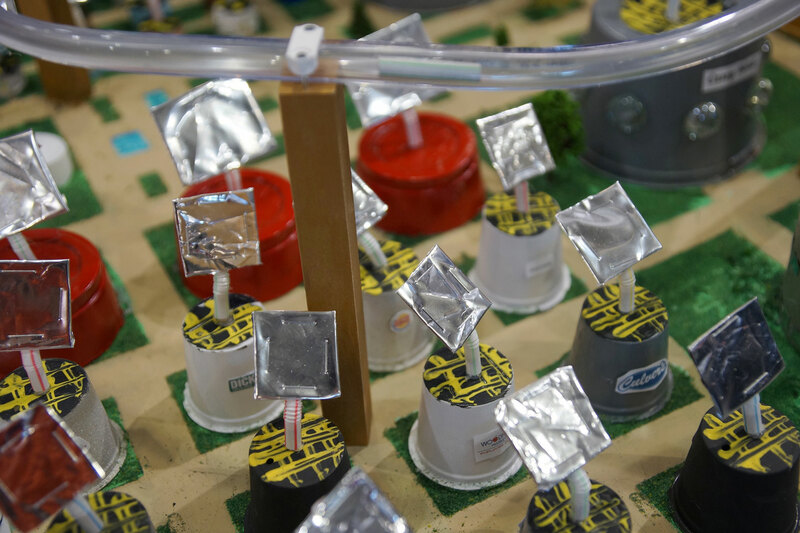 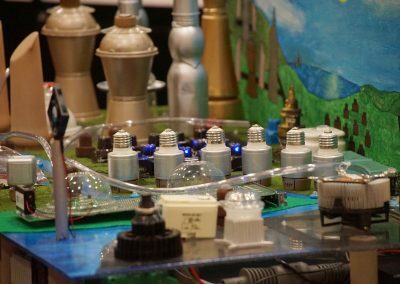 Londine city from Glen Hills Middle School used giant hydro-electric turbines to generate energy from the ocean currents, and were rewarded for the design by placing as one of the five finalists. 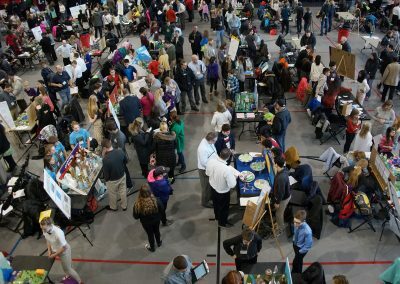 Schools featured in the Photo Essay include teams from St. Alphonsus School – Sedai (Regional Winner), Glen Hills Middle School – Londine (Finalist) , Waukesha STEM Academy – City of No Limits, St. Mary Parish School – Aeternam, Butler Middle School – Aerosmith City, Golda Meir School – Lingyu, Franklin Middle School – Pi-e, and Horning Middle School FLIGHT Academy – North Forge. 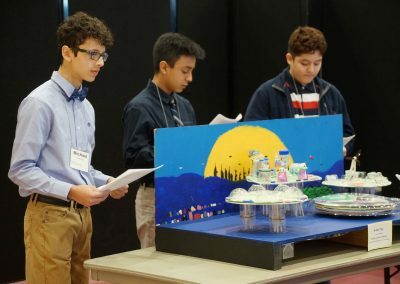 Three of the five finalists not shown in pictures were Longfellow Middle School – Amanacer, Forest Park Middle School, City of Sofia, and St. Anthony on the Lake, City of Serendipity. 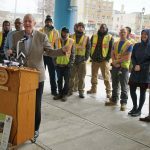 The five finalists were announce by Mayor Tom Barrett.